The 9 day residency period in the Choreographic centre of Heidelberg was the first phase of research for the project The Waiting Room. 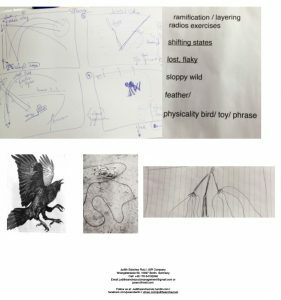 Together with the five dancers and composer, we spent a productive and collaborative period constructing ideas and experimenting with these tools, to formulate the language that will shape this piece. This resulted in a mixture of improvised tasks and some ‘set’ material to create this initial base for the work. This piece (with influences from No Exit and Waiting for Godot), has a particularly distinct nature, we desire to push the limit to see how long we can keep people interested when virtually nothing is happening. This is, at least, the beginning section of the piece that we spent time formulating, with very recognisable body postures and background sounds that creates an illusion that one is in a normal waiting room, we gradually realise, that this is definitely not the case. The characters are trapped in a perennial space, there appears to be no boundaries, yet they keep themselves there, waiting. What are they waiting for? Some kind of sign, or recognition? The only thing they have in this existence, is each other, and the chairs on which they wait, which the dancers use as a frequent object of interaction. During the residency, we developed three scenes, which provides a good platform when mapping out the trajectory of the plot and which direction the dramaturgy is taking us for further development. The end of the residency resulted in a showing, in which we showed these scenes that were more developed and some of the process we took to arrive there. We received some valuable feedback to take us into the next phase of the creation process. 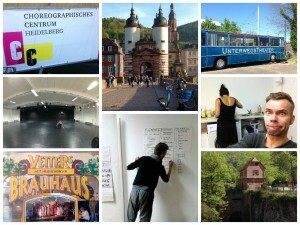 Between 15-20 of October we spent a week in residency at the CC Heidelberg. The immediate aim of this period was to complete a quintet that forms a pre-study for the full- evening performance ’60‘. This project investigates the human concept of time, the ritual of time-keeping and the experience of time from both a personal as well as a communal context. 1. The fine details of the movement quality. The quintet is based on four sections, each with a different movement quality. Having the time to focus on the particularities of each part and making it more distinguishable was important for the clarity of the work. 2. The order of the sections. We researched different constellations for the four sections to see if different accumulations or resonances between the parts change the overall time sensation of the work. Even when a certain order was clearly not balanced, we tried it anyway to see if the imbalance is interesting or if we could learn something new about the work. This also lead to new ideas about the transitions between parts. 3. Researching new ideas for the full-evening version. 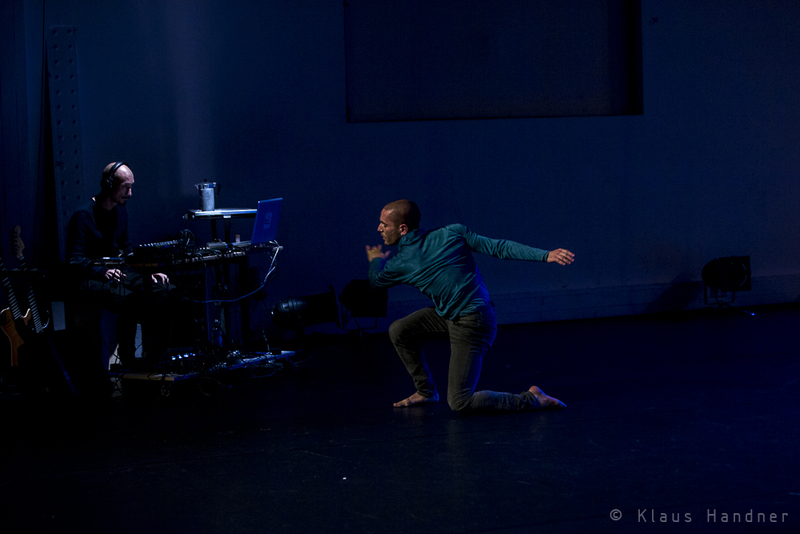 We began to develop the idea of a choreographic score that corresponds to a poem. Certain words in the poem would be a trigger for a specific movement, while other moments in between would be free for interpretation by the dancer. This is planned to be the basis for a series of solos that will be spread throughout the eventual piece. During the week our morning training was open to guests from the region, both professional and amateurs. Every day 3 or 4 people joined us and we had a very nice exchange with everyone. We completed the residency with a studio showing of the latest version of the quintet (titled ’30‘), where we also explained about our process and talked about the research we had done for the new solos. 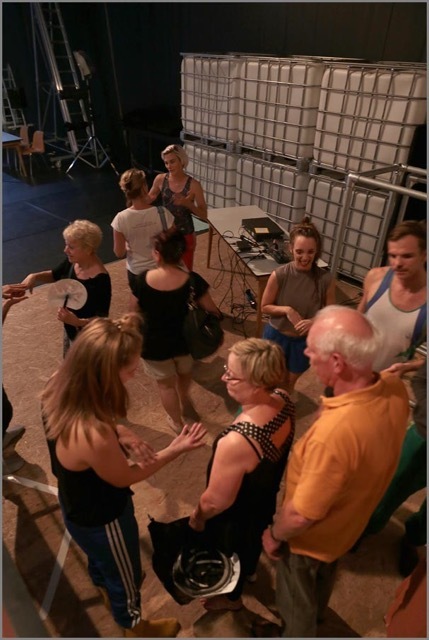 The showing was attended by members of CC Heidelberg and the dancers of Unterwegstheater, as well as Ivan Perez, director of Dance Theater Heidelberg (and some of his dancers). Also in attendance was Bruno Heynderickx, director of the Hessisches Staatstheater Wiesbaden. We left Heidelberg with new insights about our work and with several starting points for the continuation of the piece. We fill fulfilled and inspired and hope to be back to present the full work in the future. communication -> relationship -> touch. 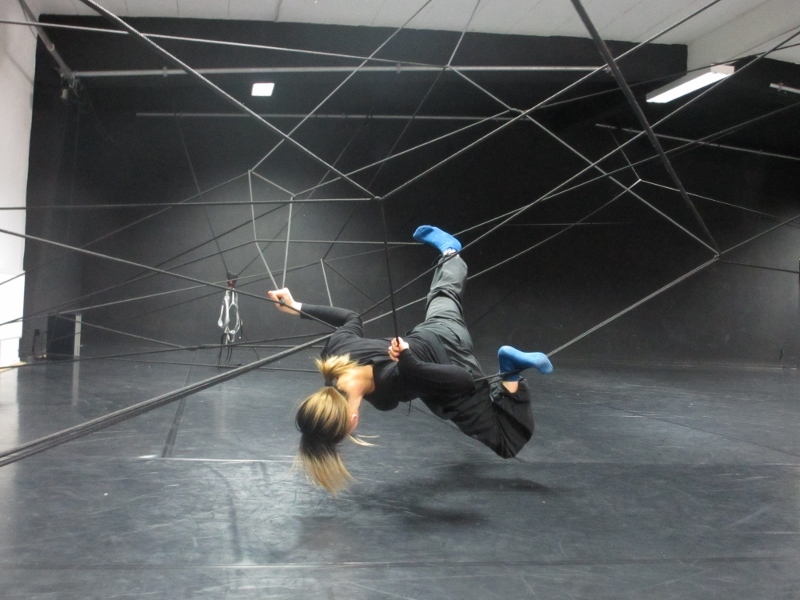 For this residency, we were focusing on <CONTINUE II : TRIANGLE> and it was the first part of the research process, so I started with few potential tasks to develop the movement materials and choreographic methods within this ‘triangle’ concept. (a) Showing the materials that we had been researched and developed for the residency period. (b) Showing the public a new triangle score and we did a 10minutes improvisation. (c) Q & A section. – Each of us thought of different words constellations for many Triangles, in this case, there is always 3 words in one constellation, example a triangle with ‘jail, fragile, wild plants’. – We exchanged the words and recreated new words according to our own perceptive towards the relationship of those words, example we kept the word of ‘jail ’, others had created new constellation with the word of ‘jail’, which were ‘jail, earth, sun’ and ‘jail, human, animal’. – This became our first layer of finding the common approach and understanding of building up the complication of more Triangles. – As we had 3 words in one constellations, we put each words into each triangles that we drew. Again as we develop further, I added new input within the scores. We used those words as an inspiration for improvising, trying to create an imaginative path to explore a personal storyline and movement materials. – Function like having ‘Super Power’ and ‘Trap’. 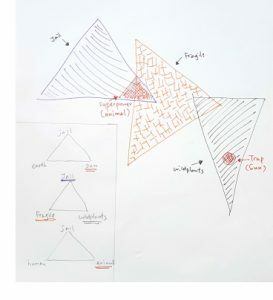 – Este (Musician) was involved in this task as well, as he worked a lot with improvisation, these had given him more guidance by following our triangle, yet having his own triangle. 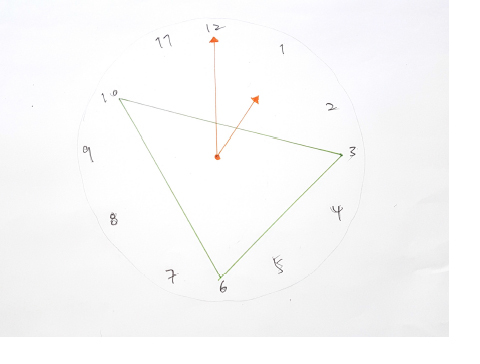 – Using clock as a continuous motion, starting from lower floor movement, one body part always have to move or point to the clockwise direction of the time from 1-12. 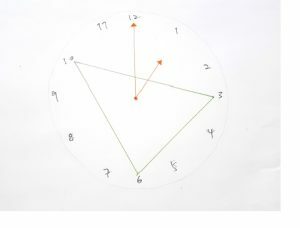 – Fix a triangle point in the clock, example ‘ 3, 6, 10’, every time when we hit/arrive the time of ‘3, 6, 10’, there is a specific movement instruction. – The instruction within the clock get more complicated as we developed it. The residency in Heidelberg was the the first part of research for the project of “Bird”. We used the time and space to investigate themes of migration, of travel, of distance and freedom. 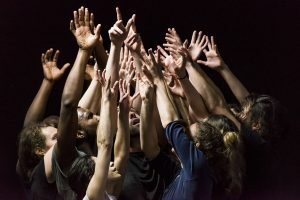 As we are working as a collective, we are all equally responsible for the delivery of these ideas, and, as a result of this working process, the piece becomes a result of equal collaboration between the dancers. As this is the first project together as a collective, the residency period was also an introduction into working in unison, creating a group dynamic and understanding each other as human beings as well as artists. It is likely that this process of unity will be present in the final presentation of the work “Bird”. The residency provided the ideal platform to create work of substance, as well as to take on a playful approach to experiment with different ideas. The end of the residency period created the first opportunity to expose this fresh work to public eyes in the form of a public showing to half a dozen people. The feedback received from this showing was invaluable, and the comments have already been processed and put into practice. In meine vierwöchige Residenz am CC, mit meiner freien Gruppe green flamingo project, habe ich mich mit Verbindungen und Beziehungen beschäftigt. Wie bauen wir eine Verbindung zu anderen auf? Wo beginnt diese und wann entscheidet sich ob die Verbindung von Spannung, Spaß oder Symbiose dominiert wird? Entscheiden wir selbst oder ist der Weg vorgeschrieben? Unsere klassischen Konzepte von Beziehung, Freundschaft und Familie, sind zur Zeit von einem extremen Wandel geprägt. Ich wollte mich näher mit dem Moment beschäftigen, wenn eine erste (neutrale) Verbindung zustande kommt und wie sich später dann ein Wandel vollzieht. Ich wollte die komplexe Systematik von zwischenmenschlichen Beziehungen aufbrechen und den Kern in einem simpleren Konzept darstellen. Ehrlichkeit und Offenheit waren dazu wichtige Bestandteile, auch von Seiten meiner Tänzerinnen. Die Residenz war eine spannende und prozessintensive Zeit. Für zwei meiner drei Tänzerinnen, war es der erste gemeinsame Arbeitsprozess unter meiner Leitung, wobei ich eine von ihnen vorher noch gar nicht kannte. Ein wichtiger Teil unserer Zeit zusammen war es also, eine gemeinsame Dynamik und Gruppenidentität zu finden. Das Finden und Formen von Gruppen, war aber auch Kernthema meiner Arbeit und so konnte dieser Prozess letztendlich auch in unser Bewegungsmaterial und Recherche einfließen. Zum anderen habe ich mich als Choreographin selbst vor die Herausforderung gestellt, meine Bewegungsrecherche und den allgemeinen Arbeitsprozess, offener und experimentierfreudiger anzugehen. Die ersten zwei Wochen haben meine Tänzerinnen und ich mit viel Improvisation verbracht. Dabei habe ich versucht, möglichst viel Freiraum für unserer darin erlebten Erfahrungen und den gegenseitigen Austausch zu geben. Mir war wichtig, nicht ergebnisorientiert oder wertend zu arbeiten und ich habe auch die drei Frauen darin bestärkt, offen zu bleiben. Auch das Ergebnis der Residenz, was ich unter dem Titel „Mitternachtskinder“ im Rahmen eines Showings gezeigt habe, orientiert sich an den Freiräumen und Persönlichkeiten meiner Tänzerinnen. Die Rolle, die jede einzelne darin einnimmt, ist in erster Linie aus Improvisation hervorgegangenen und beruht auf ihren eigenen, natürlichen Reaktionen. Auch das hat der Arbeit eine Authentizität und einen sehr großen Spielraum für jede einzelne Beteiligte gegeben. Das Ergebnis ist spielerisch und fokussiert auf den erlebten Moment. Der Lernprozess, den mir diese Residenz ermöglicht hat, ist unglaublich vielschichtig und wertvoll. In der künstlerischen Arbeit habe ich selten das Gefühl, wirklich frei von Ergebniszwängen und Erwartungshaltungen zu sein/sein zu dürfen. Doch nur mit solchen Freiräumen, kann ich mich selbst herausfordern, mit neuen Impulsen experimentieren und meine Arbeit als Choreographin nähren und weiterentwickeln. Die Residenz im Choreographischen Centrum war die erste von mehreren Probenphasen, die im Laufe des Jahres in einer Premiere münden sollen. „Shared Canvas“ entsteht über einen längeren Zeitraum hinweg und soll in verschiedenen Locations wie Theatern, Museen und Gallerien gezeigt werden. Die von uns erarbeiteten Ideen finden sich nicht nur im Stück selbst wieder, sondern haben auch starken Einfluss auf unsere sonstige Schaffenswelt. Die Beziehung von Malerei und Tanz ist ein Feld, das uns immer wieder aufs Neue inspiriert und fasziniert. 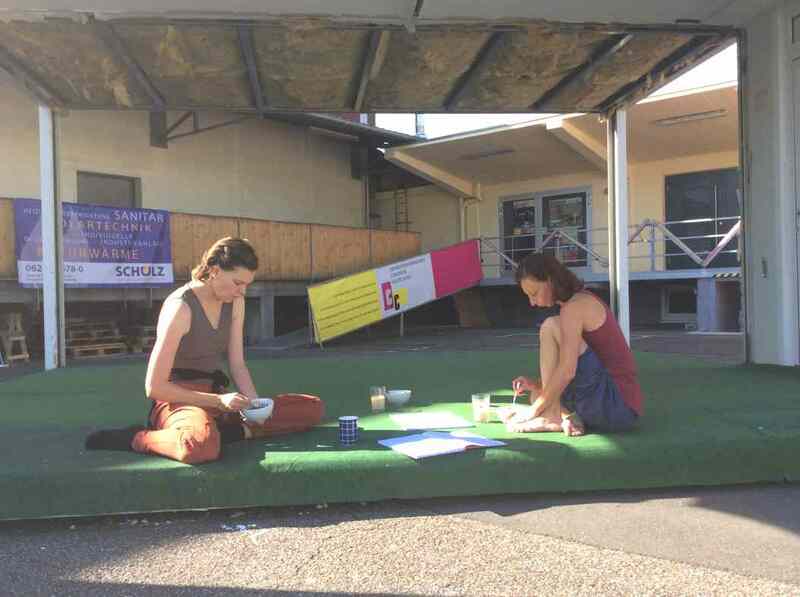 „Shared Canvas“ ist eine Versuchsanordnung, in der Malerei und Urbaner Tanz aufeinander treffen. Live und vor den Augen der Zuschauer entsteht ein Bild: von der Vorbereitung über den gestalterischen Prozess bis zum fertigen Werk. Der Maler und der Tänzer arbeiten zusammen, inspirieren sich und fordern sich gegenseitig heraus. Der Tänzer agiert als Malwerkzeug und stellt dabei den Graffitikünstler vor immer neue Herausforderungen und Aufgabenstellungen. Wie können wir einen relativ flexiblen, gut transportierbaren Raum schaffen? Wie können wir das Material wiederverwendbar halten? Wie können wir dem Material und unseren Kostümen eine gewisse Patina verleihen? Welche Rahmenbedingungen braucht Tanz, welche Malerei und wo müssen wir Kompromisse eingehen? Welche Farben, welches Material kann funktionieren? Welche Ästhetik wollen wir schaffen? Wollen wir etwas erzählen und wenn ja was? Unser Bühnenbildner Dimitris Polychroniadis, der uns eine Woche begleitete, gab uns wichtige Impulse und half uns dabei, das Bühnenbild so simpel und gleichzeitig so vielseitig wie möglich zu halten. In unserer Vorrecherche und auch in den Gesprächen probierten wir Malmethoden bedeutender Bildende Künstler. 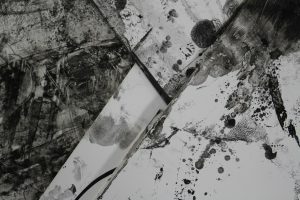 Als erster sei hier Jackson Pollock genannt, aber auch Gerhard Richter, der viele seiner Bilder mit einer Art Schaber rakelt. Außerdem experimentierten wir damit, wie wir Tanzbewegungen zum Malen verwenden können. Die Balance zwischen figurativer und abstrakter Malerei, sowie dem Schreiben von Worten oder Buchstaber wollen wir noch austesten. Auch die Dosierung der Farbe ist noch eine Frage, da zu viel den Tanz verhindert und zu wenig nicht genug Resultate bringt. In mehreren Improvisationen, mal mit, mal ohne Publikum, probierten wir das Material aus. Unser Fokus lag während dieser ersten Realitätstests vor allem darauf, dem Gemälde zu dienen, sich also als Performer eher zurückzunehmen. Die dabei entstehenden Bilder und auch die Kostüme sind vor allem bei näherer Betrachtung interessant. Diese Details wollen wir später auch mit dem Publikum teilen. Um dem eigentlichen Stück mehr Leben einzuhauchen, werden wir in den nächsten Proben vor allem den Tanz in den Mittelpunkt rücken und ausprobieren, wie der Maler mit dem Tänzer kommunizieren kann. Vor allem praktische Fragen haben wir in dieser ersten Probenphase klären können. Wichtige Entscheidungen zu Material und Raum sind getroffen und geben uns Struktur um uns den Herausforderungen der kommenden Proben stellen zu können. Unsere Aufgabe für den nächsten Probenblock, den wir beim diesjährigen Metropolink Festival in den ehemaligen US Kasernen im Patrick Henry Village haben werden, ist es vor allem, Themenfelder zu erarbeiten, die zu Szenen im Stück ausgearbeitet werden können. Während in der Residenzphase die Gestaltung eines Gemäldes für uns noch im Vordergrund stand, wird für uns nun der Weg zum Gemälde immer wichtiger. 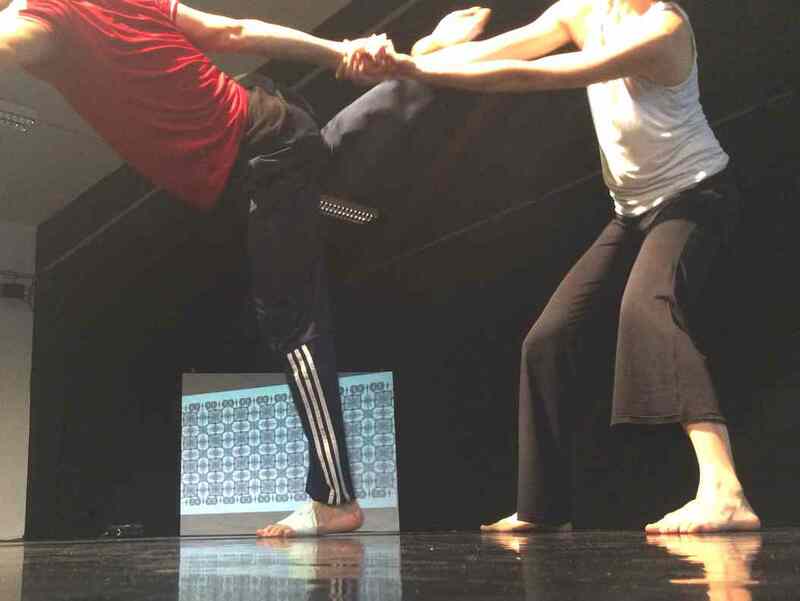 This work was focused strongly on the relationship between storytelling structures, and collaborative choreographic procedures. Most of the pre-research circulated around the idee of the act of creation being partially one of “magic”. Two stories from western literature specifically influenced our working period together. Not only because of their content, but also for their formal aspects. Ex: Both stories use a frame within frame within frame structure. Much like a mise en abime or a mirror within a mirror. Writing styles contain elements of the Baroque, Romantic and Magical Reality.. 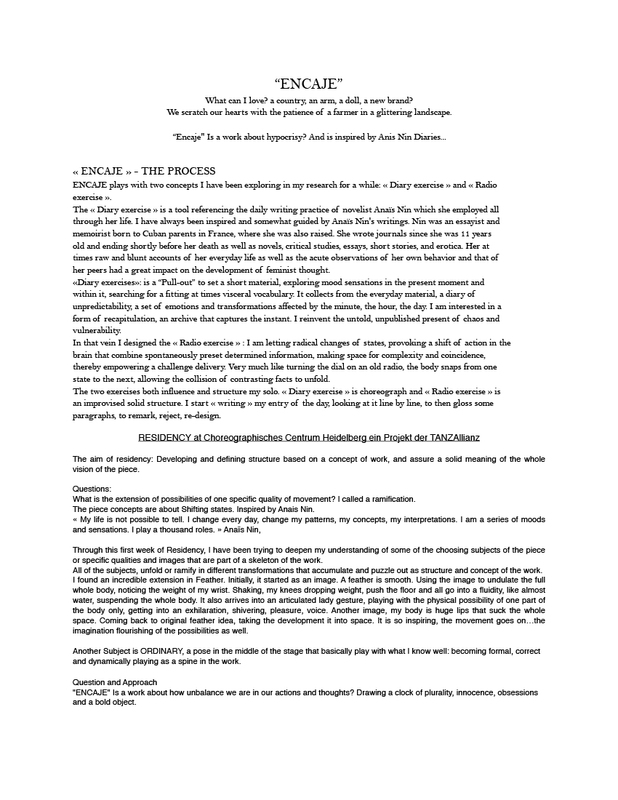 Concerning content: Both narratives are concerned with the act of creation. Specifically the making of a body. One story is concerned with the possibility dreaming of a man into existence with the aid of magic. As the week progressed we became more specifically interested in narratives structures as they occur in oral storytelling techniques and how these “formulas” or “strategies” might be deciphered into choreographic events. Both narratives are written works and I wondered how I might translate or transcribe them into an oral storytelling form, more concise and poetry-like, without compromising their integrity. Question: What if Narrativity is understood as an expression of processuality and of “becoming”. How do things unfold, emerge and transform in time and space. Question: what if there is no original, but only re-makings? Question: What if Choreography is the composition of this “becoming” in time and space. Or choreography as the aesthetic of change; formation; deformation; reformation; transformation. Specific choreographic tasks were designed as means for materializing thoughts and movement images in human form. (No Videos). Tasks are formulated as questions to be answered choreographically, in order to generate or expose the interplay between structure and coincidence; the known and unknown; content and form; show and tell. The aim was to enable a kind of dreamlike experience, both while creating and performing for a public audience; to provoke images to emerge “magically” and then to set them free to move within loosely designed frameworks of time and space. Like oral storytelling, the choreography is guided by a loose structure, in which dancers are free to decide how to move themselves through space and time, while aiming to arrive at certain set key points. How and if one arrives remains open to formulation and contingent upon the choices made by others. What happens when one does not arrive where one thought to go? How to suggest a storytelling mode without demanding representation or resorting to pantomime? The compositional process and the content eventually became synchronized. HOW DO THINGS GET MADE? Who creates who? How might multiple parts fit together without loosing individuality? What gets put in or left out? How many details before over detailing into excess? What is the responsibility of a creator to his or her creation? What is a good story? Whose story is it anyway? Where do thoughts originate? How do they move? DOES THINKING ALSO HAPPEN IN IMAGES? WHAT IF YOU COULD READ IMAGES AS YOU READ WORDS? READ CHOREOGRAPHY AS A BOOK? Do you believe in magic? What can be considered Real? Illusion? IMAGINARY? What is the right mixture between control and anarchy when attempting to capture dream states? How might formal dance procedures disclose narrative structures ? How does spoken language and storytelling affect our thinking, acting and moving? How do stories change over time? How does translating from one language to another affect the narrative? How might imitation sometimes improve the original? What if you were limited to a single gesture? How might you find variation? 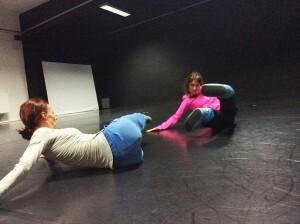 How to challenge habits of movement in order to approach “otherness”? How might form induce meaning? How might it erase meaning? The four dancers were generous and highly creative, considerate ,very responsive and respectful towards each other. We quickly formed a sense of “group organism” so that the process of researching and collaborating together was, despite some challenging moments, extremely congenial, engaging, productive, always sociable. All in all, hard work and much laughter…. The organizers of the Choreographic Center were hospitable, helpful and obliging to our needs. Thank-you! . I hope that this kind of research and opportunity for artistic development can continue in the future. The definition of „falter“: „to lose strength of purpose and stop, or almost stop“. And: „to move awkwardly, as if you might fall“. A translation of „falter“ into German: schwenken, zögern, stolpern, taumeln. The second thing was the discovery of the conceptual, performance and video artist Bas Jan Ader. The main body of his art, he said, was „all concerned with falling.“ Particularly two of his short films impressed me: „Fall I“ and „Fall II“. His mysterious disappearance in the Irish Sea intrigued me. The theme „to falter“ is very personal to me. As an older ex-dancer I regard the reality of my age, my body and its limitations, the hesitation to throw myself into movement, the fear of falling. I came into the resident period with an established vision and ideas for situations in mind, with a beginning and an end, and an already developed stage installation. I chose to work with five colleagues of different talents and skills to help me develop a presentable form from the pictures and scenarios which had been evolving in my mind during the months preceeding our actual work span. Chinese dancer and university student, majoring in sports. I experience the Chinese foreign exchange students as tireless workers who carry a tremendous burden here to fulfill their family’s hopes and expectations back home. She is strong, and interprets my personal dance vocabulary well. She is a dancer that never stops moving. American dancer/performer and personal colleague of many years and experience. Catherine is a beautiful mover and is endowed with a good stage voice. Together we explored using lyrics from songs by Laurie Anderson throughout the piece. These songs were inhabited by notions of walking/falling, falling angels, crash landings. Parkcour Artist and founder of „Flight Academy“. I utilized his ability to jump from high places and his stunt skills for my choreography. Also his intuitive and subtle sense of theater helped us develop his role as a fallen angel. Video Kunstler. 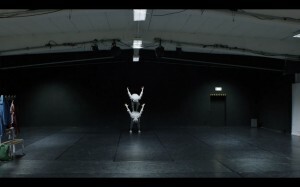 Nils accompanied the project utilizing his personal video experiments surrounding our subject. Musician and composer. 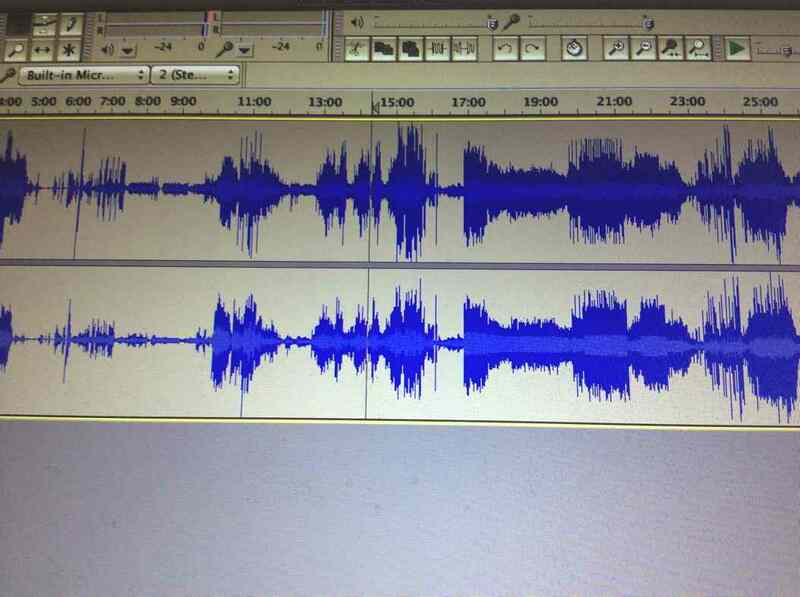 Nina supervised my work on the audio segments of the piece. I also took the opportunity to cast myself in the role of „The Time Line“, a slow motion part of the staging that slowly becomes more and more weighted down as the piece progresses. „Special Pierre“ ist ein Stück über ein Kind, das anders ist. Nach einem Tanzworkshop mit Jugendlichen mit William Beuren Syndrom im September 2016 in der Musikschule Horrenberg-Diehlheim, beschloß ich, mich diesem Thema zu widmen. Zufälligerweise fiel mir das Theaterstück „Max“ von Beat Fäh und später das Jugendbuch „Wunder“ in die Hände. Als wir die Arbeit zu dem Stück im CC anfingen , interviewten wir Mütter , deren Kinder körperlich oder geistig gehandicapt sind. Diese Gespräche erwiesen sich für uns als große Inspiratiosquelle. Eine der Mütter sagte mir, zu 90% werden diese besondere Kinder durch die Gesellschaft behindert gemacht. In der Rehakinderklinik Institut St. Pierre in Montpellier kam ich mit Kindern in Berührung, die an körperliche und psychosomatische Defizite litten. Während meiner Residenz dort, konnte ich ihre Körpersprache studieren, die mich oft vergessen ließ, daß dieser ein physisches Defizit zugrundeliegt. Diese andersartige, spannennde und eigene Körperlichkeit versuchten wir mit den Tänzern gemeinsam in der Residenzzeit im CC in der Choreographie des Stückes einzubinden. – Wie können wir eine authentische Choreographie erschaffen, die auf den Erfahrungen der physischen Andersartigkeit basiert und gleichzeitig die Kopie einer Erkrankung vermeidet? -Wie können wir, tänzerisch, eine spannende Geschichte mit großer Emotionalität erzählen, mit der sich Kinder /Jugendliche mit-und ohne körperliche/geistige Defizite identifizieren können? 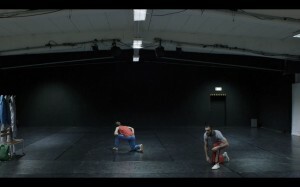 – Wie können wir diese schwere Thematik leicht, humorvoll und poetisch in einer Choreographie unterbringen, die einer speziell für das Stück entwickelte Tanzsprache bedient? – Wie können wir dem Publikum eine andere Perspektive auf Menschen mit geistigem oder körperlichem Handicap aufzeigen und durch einen Perspektivwechsel dieses Handicap als Potenzial darstellen? – Wie können wir das Vertrauen und hohes Gefühlspotential , das uns die Kinder in den Workshops entgegenbrachten, ihnen durch die von uns erzählte Geschichte zurückgeben? Die Musik von Zelia Fonseca , sowie die Tonkulisse von Julia Fonseca helfen uns dabei auch sehr. Ich glaube, daß wir an diesen Fragen bis zur letzten Vorstellung von „Special Pierre“arbeiten werden. In unserem Stück „Curious Minds“ beschäftigen wir uns mit einem zutiefst menschlichen Gefühl: der Neugier. In unserer Arbeit erleben wir sehr häufig die Lust, Neues zu entdecken, Neues zu lernen sowie die Freude am Finden neuer Wege. Neugier ist für uns sowohl ein kreativer Ort als auch ein sehr wichtiger Wert, den wir mit unserer Arbeit zum Ausdruck bringen möchten. Daher dachten wir uns: Warum nicht ein ganzes abendfüllendes Stück über dieses spannende Gefühl? Die ersten Überlegungen fanden im Wohnzimmer unseres Zuhauses oder auch überall wo wir uns befanden statt…. Aus unserer 4 jährigen Zusammenarbeit kennen wir das schon… Ideen kommen über Monate hinweg… alles aufschreiben… neue Ansätze… Inspirationen… dann erste Versuche Struktur zu erarbeiten und Tasks für die Arbeit im Studio ableiten…. 1) Grundlegendes: Neugier ist die innere Offenheit für Neues sowie das Verlangen, Neues zu erfahren und insbesondere Verborgenes kennenzulernen. Neugier strebt gegen eine Gleichförmigkeit im Denken und hin zu neuen Perspektiven. 2) Wird Neues jedoch nicht verstanden kann leicht Verwirrung entstehen. Was geschieht mit der Tänzergruppe, wenn aus der Neugier heraus das gegenseitige Verstehen nicht gelingt und Irritationen entstehen? Wir arbeiten an Duetten, in denen wir uns neugierig tänzerisch kennenlernen…. 3) Seit jeher machen Menschen die Erfahrung, dass die Erkundung von Neuem mit Gefahren verbunden ist, aber auch Chancen eröffnen kann. Es stellt sich die Frage nach dem Risiko: Sollen wir es eingehen und wofür? Wie neugierig sind wir? Wann wird Neugier zur Obsession und wie können wir diese im Körper darstellen? 4) Neugier bringt Freude, verstärkt soziale Nähe, fördert lebenslanges Lernen und gibt Lebenssinn. Uns wird klar: Neugier wird durch das Stellen von Fragen besänftigt… Wir beginnen uns während des Tanzens Fragen zu stellen? Was löst das in uns aus? Wie geht es der Person im Mittelpunkt und welche Bewegungen entstehen? Aus den Fragen entsteht eine Geschichte…. wie können wir diese mit Bewegungen und Sprache auf die Bühne bringen? 5) Was geschieht, wenn wir unserem eigenen inneren Erleben mit Neugier begegnen? 6) Eine Offenheit und Neugierde liegt auch in unserer Bewegungsrecherche. Welche Neugierde kann bezüglich Bewegungen entwickelt werden, die von uns Tänzern schon unzählige Male durchgeführt wurden? Was kann eine andere Haltung bewirken und in welcher Weise ist diese für das Publikum sichtbar? 7) Neugier ist eng mit Spannung verbunden finden wir: Wie kann Spannung aufgebaut werden: Wir experimentieren und finden viele Bewegungen die diese „Suspense“ in unserem Körper und in verschiedenen Interaktionen ausdrückt. 8) Neugier ist ein Motiv, was uns unser ganzes Leben lang antreibt: Wir arbeiten an einem Solo über die Entwicklung von Neugier… beginnend am Ende des Lebens bis ins Kindesalter…. Mit ganz viel ersten Szenenentwürfen und Ideen kommen wir in der Residenz in Heidelberg an. Wir sind beeindruckt von dem Studio und den tollen Arbeitsbedingungen. Auf geht es in die 2. Arbeitsphase: wir wollen einen spannenden Handlungsstrang über das Stück hinweg entwickeln… wird der Zuschauer neugierig sein, was als nächstes passiert… 6 Menschen stehen im Mittelpunkt… wie stehen wir auf der Bühne in Kontakt miteinander? Wir arbeiten weiter an den für uns wichtigsten Szenen und langsam entwickelt sich alles ganz natürlich von sich heraus. Uns wird klarer wer wir auf der Bühne sind, wo unsere individuelle Neugier liegt und was jeder ausdrücken möchte. Verbindungen zwischen Szenen werden hergestellt. Ein weiterer Prozess, der die ganze Zeit neben dem Choreographieren für uns abläuft ist die Komposition der Musik durch Morgan. Welche Stimmung benötigt welche Szene? Wie kann sich die Musik mit dem Tanz verbinden? Morgan verbringt die Abendstunden vor dem Computer und an der Gitarre… langsam entsteht zu den meisten Szenen eine musikalische Entsprechung…. Phase: Fortgehend aus verschiedenen vorherigen Projekten entstand bei Joseph Simon und mir der Wunsch, ein abendfüllendes Stück zu entwickeln. Um ein Konzept zu erarbeiten, trafen wir uns über das Jahr 2016 hinweg mehrmals in Rotterdam oder Heidelberg um uns auszutauschen. Körperlich arbeiteten wir vor allem an Bewegungsspielen, um eine Art Werkzeugkasten zur Bewegungsgenerierung zu schaffen. 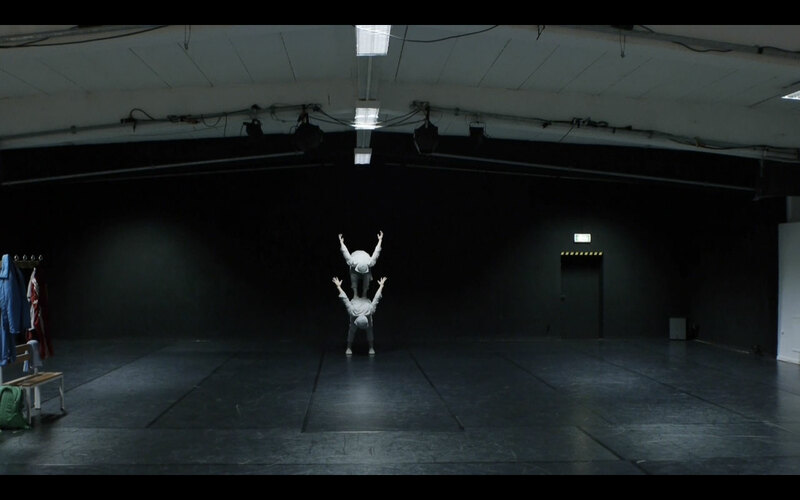 Hier orientierten wir uns stark an „Improvisation Technologies“ von William Forsythe. Unser Ziel war es, unser Wissen über zeitgenössischen Tanz und verschiedene urbane Tanzstile irgendwie zu vereinen und für uns leichter zugänglich zu machen. Über Skype entwickelten wir unser Konzept zusammen mit Eva-Maria Steinel weiter. Phase: Im März 2017 hatten wir unsere erste längere Residenz bei Dansateliers in Rotterdam. Hier nahmen wir uns viel Zeit um Bewegungen zu erforschen und um verschiedene Formen der Kommunikation untereinander und mit dem Publikum zu untersuchen. Wir orientierten uns stark an „Foundation“ von Joseph G. Schloss, worin es um die Entstehungsgeschichte des B-Boying geht. Uns war schnell klar, dass der Austausch von Ideen und deren Weiterentwicklung durch die Sprache Tanz im Mittelpunkt stehen sollte. Außerdem untersuchten wir, wie wir verschiedene Elemente einer Hip Hop Jam ins Theater bringen könnten. Besonders wichtig war uns der Kreis als Ort des Geschehens, da dort die Energie von allen Seiten in die Mitte konzentriert wird. Unsere Ergebnisse teilten wir in wöchentlichen Movement Classes und in Showings am Ende der Residenz. Nachdem wir in der Residenz in Rotterdam bereits ein paar Themen für mögliche Szenen entwickelt hatten, fingen wir in Heidelberg recht schnell damit an, einen Rahmen für unser Stück zu schaffen. So wie wir unsere Bewegungen in verschiedene Werkzeuge organisiert hatten, versuchten wir Module und Elemente zu schaffen, die wir frei würden verschieben können. Als geistige Nahrung und zur Inspiration diente uns vor allem „Infinite Games“ von James P. Carse. Wir wollten nun besonders den Ideenaustausch und deren Weiterentwicklung als nie endendes Spiel betrachten – frei nach dem Carse’ Grundgedanken, der oben zitiert ist. Hinter der Idee des unendlichen Spiels steckt eine Einstellung zum Leben, die wir gerne mit dem Publikum teilen wollten. Zuerst beschäftigten wir uns mit dem Raum. Wir trennten uns schnell von der Idee, alles in einem Kreis stattfinden zu lassen. Dies hatte einen befreienden Effekt auf uns: Der große Raum des CCs und die Loslösung von schon festgelegten räumlichen Szenarios ließen uns den Raum ganz anders wahrnehmen. Hieraus entwickelten wir unser Spielfeld. In Anlehnung an verschiedene Schulhofspiele begannen wir den Raum mit Malertape zu gestalten. Außerdem nahmen wir einen alten PVC-Boden sowie Pappe hinzu, da auf diesen Böden B-Boying entstanden war. Wie würden wir auf verschiedene Untergründe reagieren? Welche Möglichkeiten entstehen daraus? Dadurch, dass wir während der Residenz mehrmal das Studio wechselten, entstanden verschiedene Versionen eines Spielfelds, die uns immer wieder zu neuen Scenarios führten. Was, wenn der Boden kein Boden ist? Was können die verschiedenen Gegenstände alles sein? Wie können wir Spiele abstrahieren, aber sie trotzdem erkennbar lassen? Wie kommen wir von einem Spiel zum anderen? Wie verändern wir diese Regeln? Wie können wir unser Bewegungsmaterial hier einbringen? Wie kommen unsere Bewegungsspiele zusammen mit dem Raum? Was rufen sie dann hervor? Da wir zu zweit sowohl Performer als Choreographen waren, fiel es uns schwer, zu beobachten, was wir machten oder wofür das Material gut sein könnte. Hierfür war Tonia Kyriakou eine große Hilfe, die manchmal für einen von uns einsprang, sodass wir auch von außen beobachten konnten. Außerdem filmten wir viele Improvisationen um dann aus den Videos Material zu extrahieren. Die ganze Residenz über versuchten wir stets, die Balance zwischen Improvisation und gesetztem Material zu finden. Einerseits würde gesetztes Material viel Sicherheit bieten; andererseits: wo ist das Spiel, wenn man immer weiß, was kommt? Ebenso beschäftigte uns sehr, wieviel Ordnung und Struktur und wieviel Chaos wir ertragen könnten. Aus dem Improvisationsmaterial, sowie aus den Skizzen, die wir schon in Rotterdam angelegt hatten, begannen wir einen Score zu erarbeiten. Wie würden wir die einzelnen Spiele verbinden können? Muss der Zuschauer verstehen, was wir machen? Manche Szenen fingen wir an zu bauen und mehr über eine Struktur zu entwickeln. Andere waren eher instinktiv entwickelt und hatten eine weniger definierbare Ordnung. Die Musik trugen Steffen Dix und Peter Hinz bei. Bei einem Treffen hatten wir verschiedene Ideen ausprobiert, worauf die beiden mit der Komposition begannen. Sowie die Choreographie auf einem Dialog basieren sollte, sollte auch die Musik auf diese Weise entwickelt werden. Auch die Idee von Bausteinen führten wir in der Musik weiter. So sind Teile der Musik modular aufgebaut, sodass wir damit flexibel umgehen und sie beliebig zusammensetzen können. Bei den Proben probierten wir dann aus was zu was passen würde. Außerdem stellte sich die Frage, wie wir die Musik einsetzen würden. Wie schafft man Übergänge ohne harte Schnitte? Wie kann die Musik so eingespielt werden, dass sie nicht zu viel vorgibt? Wie korrespondiert die Musik mit Bewegung? Wie können wir Geräusche mit der Umgebung machen? Um eine Art Scrabble für die Bühne zu entwickeln, fingen wir an mit Wörtern zu spielen, die wir in wechselnder Reihenfolge zu verschiedenen Sätzen kombinierten. Die Wörter extrahierten wir aus Spielregeln, aus denen wir dann neue würden schaffen können. Diese Wörter wurden schließlich zu Schildern, die Cédric „Sweet Uno“ Pintarelli für uns gestaltete. Die Schilder hatten wir erst in unserer letzten Probenwoche. Nachdem wir zuerst ein wenig überwältigt waren von der Vielfalt an Möglichkeiten, fingen wir immer mehr an sie durch den ganzen Score hinweg einzubinden. Wie können wir anhand der Schilder Regeln etablieren? Sind die Schilder auch etwas anderes als Schilder? Wie können wir anhand der Schilder mit dem Publikum interagieren? Das Stück sehen wir mehr als eine Momentaufnahme unserer Entwicklung. Daher wird es sich noch weiter verändern und hoffentlich weiter wachsen. So wie die Spiele auch, soll es kein komplett festgelegtes Stück sein, sondern stets offen für Anpassungen. TextUs… Textus or text: a thing woven, a fabrication, maybe a lie. Deutsch: Gefüge, Geflecht, Geschichte, oder Lüge? The project employs the movement experience of four local professional dancers working together with a newly formed Movement Chorus made up of 10 local Heidelberg citizens from diverse backgrounds who all enjoy dancing. My personal aim: By investigating fundamental concepts underlying all movement, (Bodies, Time, Space, Relation, Shape, Energy, Flow and Arrest) I try to understand how language works to connect, intrigue or perhaps segregate us. Furthermore, I wish to create a working atmosphere of play, exploration, discovery and invention within socially diversity, seeking accidental and unexpected connections between materials and people. 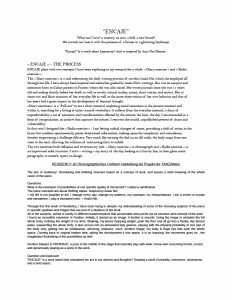 All this with the view towards formalizing the coincidental and offering the participants a chance to become agents for change (and not just instruments for profit making purposes). 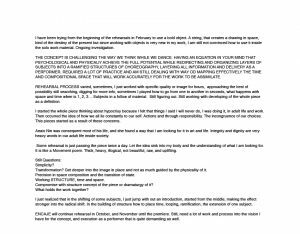 The Preparation phase of research was guided by a series of questions I posed to myself concerning the nature of language, texts, spoken or written, the body imagined as a possible text in motion. What kind of language is dance? How does it communicate? What kind of dance is language? What are some contemporary ideas about choreography? Collaboration and cooperation? How do we want to work/ converse with each other? Arrival/Aliens/Birth/Stuttering/Games/Players/Stories/Communities/Pleasure/Listening/ Differentiation-listen to,for, or with? What if this dance were the sudden arrival of alien pleasures? What if this dance were a game of listening with each other? The questions produce a list. Dancers add to the list. “What if this Dance were a repetition of forgetting habits?” At some point later, I tear the list into separate strips and build a path along the floor and people of the Chorus will walk along and rearrange the paper strips on the floor. Is this choreography? And…How can we perform this list of questions choreographically? I also write down many thoughts, phrases and formulations from books, like “Philosophy of the Flesh” and “The Pleasure of the Text”. A book on Heidegger which is lying around intrigues me. “There is language only because there is talk(Rede) or chatter (Gerede)?” And what moves us to talk? English or German? Issues of translation and interpretation arise. German has three words for Interpretation: Interpretieren/Auslegung/Deutung… How do “things” aquire their names? Making a dance or performance piece always seems like an easy thing at the beginning. Complications of “embodiment” arrive and manifesting ideas can quickly become tedious. Often, my words do not illicit the actions which I anticipate. Sometimes this is actually refreshing, sometimes frustrating. Talking about it can also become tedious…chatter. 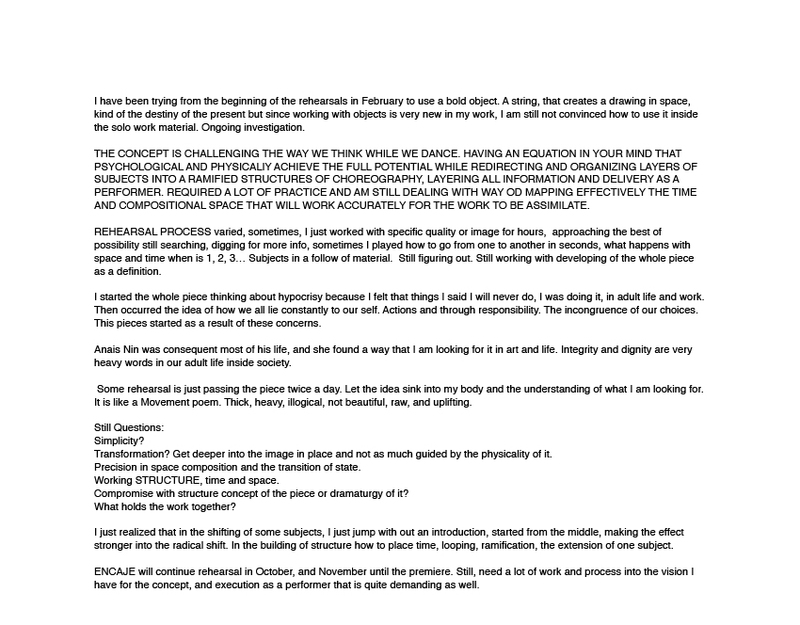 I have not worked with any of the profi dancers before….Let’s get to know each other. Sounds good. But, how to actually do it? And what exactly is this IT we are all trying to do? What can be said about IT? What if Language were a Dance? How does it start? Slip? Hide? Flow, go on? Appear? How does it Weave? Knot? Unravel? How might words influence bodily states or physically imaginative expressions? How do we invent words from bodily states? cliffmouths riverstomachs icesexes snowlungs coalbrains cloudfingers…..
What about: Kinder ohne Garten oder Spiel ohne Zeit? What if the Body can be considered as a Text? Who is the reader? What is the role of the reader? What if sensing: touching, looking, smelling, intuiting, sweating, shivering, pressing, sounding, were the grammar by which we compose our relations? How to find pleasure drifting in uncertain territory? How to converse in a foreign language? Remember when you learned a foreign language? How did you convey complication on the basis of a limited vocabulary? How might the moving interplay of repetition, inconsistency, rupture, and stillness, create bodily rhythms similar to those of speech? What if dancing writes disappearing upon the surface of the surrounding space. How might we interact or relate to this imagined textured space of transformation? Was ist zwischen uns? What connects us? What connects words? What rips us apart? What remains? 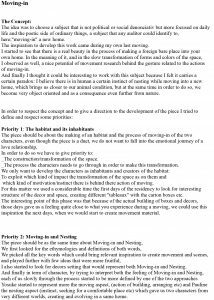 During the first week the dancers create movement material, culled by some of these questions or related tasks and guided improvisations. We exchange some of our movement preferences. We try out some speaking games. In the second and final week of research, I work in a similar fashion with the Chorus and then move towards facilitating an integration the two groups of people. We all play a game of “pass the ball with out throwing it” together. This initiates a nice group flow and with a bit of music everyone loosens up and begins to move nicely, naturally with each other. We play other simple games concerning the relevance of our names as accurate descriptions of our presence(dasein). We attempt simple movement tasks in order to generate “material” together. Could this be the basis of a performance? A simple game of ball? Everyday, things transform and reformulate into other things. The fragments of events, actions, dances and ideas proliferate so quickly, that it is all too easy to feel completely overwhelmed by possibility. We all feel the pull of “ Ordnung muss sein” But what principle shall be our guiding one? What is IT all? What if a Performance were more like a poetic Conversation? and less like a linear narrative? How might we better understand the performance situation as an emergent moment of responsive bodily sensation “ leibliches Aufeinander Re-agieren”? On the last last two days, I propose a possible temporal order for the final presentation on Sunday, taking on suggestions from the group when they arise. It’s a loose weave, in the hope that the tension of the viewing situation will still allow for suprising moments of discovery between the players…This is the first working sketch and by no means a finalized product. We need and appreciate an audience, in this delicate phase of working, because the viewers are our accomplices, the other side of the “text”, the readers, so to speak… How to read a dance? As this performance-body of multiple moving thoughts flows or stutters before me, questions begin to coagulate: where is ITS‘ axis, ITS‘ strong pull, the of core of IT? Where is IT bound? What holds IT together? Is IT one thread or many or both? two week period of research. Part of being together is being together with the viewers..
Facit: The theme of a Chorus is a strong one. And ITS‘ many variations, made up of diverse members and motifs moving and sounding is worth further development. The image of the crowd, transforming, condensing (Dichtung)and dispersing Auflösung), and evolving brings my thoughts back to a book: Crowds and Power, Elias Canetti. The role of the professional dancer and his/her relationship to the Chorus poses more difficult questions. Perhaps it is too easy to slip unintended, into comparing the movement skill of a non dancer to the virtuosities of a trained prof. Dancer . This aspect of the work begs reconsidering. What then is being thematically explored? Status? How to bring people (in a small city)with diverse movement histories together into pleasurable challenging and meaningful interactions? What and how do we want to exchange with each other ? End notes: Back to IT again. I think of spider’s silk. What makes webs robust is something previously considered a weakness: the way IT can stretch and soften at first when pulled, and then stiffen again as the force of the pulling increases. What sticks in IT’s web after words? Die Residenz am Choreographischen Centrum Heidelberg war ein sehr abwechslungsreicher und bereichernder Arbeitprozess, in dem wir Zeit hatten, uns auszutauschen und neue Arbeitsweisen auszuprobieren. 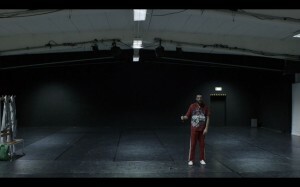 Meine choreographische Hälfte, Tess Luscassen, und ich haben uns mit dem Thema unserer „globalen Identität“, den Spannungen in unserer Gesellschaft und verschiedenen sozialen Konventionen beschäftigt. Vieles, was zur Zeit politisch und gesellschaftlich passiert, beunruhigt uns und wir haben unseren Prozess mit vielen Bildern und Fragen begonnen. Das Material, welches zunächst daraus entstand, schien uns jedoch zu abstrakt und so haben wir angefangen sehr persönliche Elemente und Erfahrungen in unsere Arbeit einfließen zu lassen und letzendlich verschiedene Ideen zu einer Collage aus Tanz und Theater zusammenfließen lassen. Das Ergebnis fängt ein Gefühl von Unsicherheit und die Suche nach Antworten ein und wird hoffentlich auch anderen als Denkanstoß dienen. To kill the Monster one needs to keep it apart, but at the same time, to introduce it into the everyday realm, one will make out of it a curiosity (fair) and so it will paradoxically become a liberator of anguish. This performative research is rooted on the exploration of monstrousness and aims to bring a critical insight on the theatrical apparatus of the Freakshow, the popular fairs of wonders and Humans Zoos. Freakshows and Human Zoos arose in the middle of the XIX century – as a consequence of the apogee of the western european colonialism – and were a display that emphasised division and Otherness, rooted on the dichotomy: I versus The Other. Often disguised by the name of “World’s Fairs”, those shows (de-monstrations) offered a particular regulating mechanism where the display of the “monstrous”, or of the “Other” was meant to satisfy and pacify the voyeuristic desire of an audience by attempting to reassure their own normalcy. The three weeks residency at the Choreographic Center of Heidelberg constituted the third of the five condensed blocks of this research. The previous two blocks were in September (Portugal) and in October (Berlin). During this 3rd phase Marc Philipp Gabriel (performance and co-creation) and Helena Botto (concept, direction and performance) were present during the whole time. Susanne Foellmer (scholar advising – grotesques expert/dramaturgical mentoring) joined them during the first week. 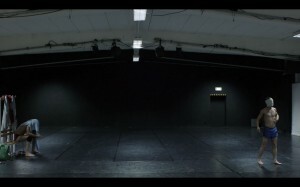 Susanne Mayer (dramaturgy) took part for 10 days (2 blocks of 5 days) and Nikola Pieper (sound designer) worked from Berlin, following the process remotely through video footage of the rehearsals. The objective of this phase was tending toward the construction of a structural draft that would allow the exploration of, and reflect upon ways of transforming the conventional roles of the “Monster” (the Other), “the Freakshow Host” (the Showman) and the Audience, and to test a few procedures in order to build the skeleton of the future performance. How strict should the borders of this triangulation remain in order that the spectrum of the former dispositif can still remain visible? And how much can one merge them? In aesthetical and methodological parameters this research is making use of grotesqueness, absurdity, the exploration of the moustrous, in its comic, morbid and scary variations aiming to achieve states of hybridness in which the content becomes blurred and often unidentifiable. A public showing at Ada Studios, in Berlin the previous October, inserted within a specific frame, brought back into the work adapted and recontextualised performative material that I had started to develop in 2015 within the frame of the “Portuguese Monster” – where I was developing material related to the role of Portugal as a colony, its mentality, its cultural and folkloric manifestations, a.o. The first days of the residency were dedicated to analyse that previous phases of work. 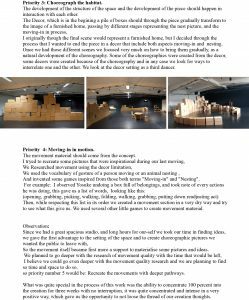 Marc and I presented to Susanne Foellmer the 30 minutes structure we had done in Berlin, and as well some other isolated performative actions that had not been inserted in the structure at the time. It started to be clear that the material related to “The Portuguese Monster”, was bringing a political dimension into the work that should be further explored. Nevertheless my question at that moment was if the specificity of the portuguese colonial case wouldn’t be shrinking a more global context? Another question I had was about the role of Marc and myself. Basically up to that point we have been developing a strategy of twinning each other, creating sort of a doubled, merged entity where often one starts a task and the other answers to it, and afterwards the sequence usually ends up with a reversal of roles. Is this way of developing material bringing a certain predictibility? There is never a situation where one of us, for instance, is performing “the monster” while the other is on the role of the „showman“. Shall we try some moments where this option is present? But if so, wouldn’t that option create a clearer division between the roles, when what is at the stake is the blurring of those roles? Up to now I have decided to explore the twinning situation up to the exhaustion and see how this will evolve further. As mentioned before, one of the purposes of this research deals with the merging of the borders between “the Monster”, the “Showman” and ultimately the audience. And if this fusion starts to be visible between the roles of the showman and the monster, up to this point the same is not happening concerning the blurring of the Audience’s role. The Audience is still maintaining a sort of stabilised position. Up to now the closest we are getting from this idea of merging is through a share of space. Many times the performers (within the role of the showman or monsters: Monstrator) physically occupy the space of the audience and directly or indirectly interact with it. But is that enough to affirm that the roles are merging? And what if one would adopt a set up closer to the white box situation, where the audience could be wandering throughout the performance while inhabiting the performer’s space? Would the blurring of spaces help to blur roles? 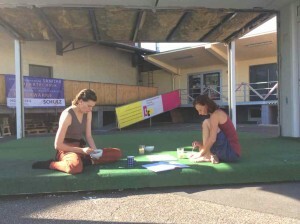 A dialogue with Susanne Foellmer was important to understand that if one would totally modify the hierarchical and quite framed organisational conditions of the space, and distance them too much from how it was done in the former freakshows, then one would also distance oneself from the freakshow apparatus that one aim to question. On the other hand if the display of the monstrous will be always presented very near or in the audience’s space, it will soon become very familiar (to them) with the danger that the possible perceptions of estrangement and uncanniness that I’m aiming for will vanish. So I have decided to leave in standby mode during this residency the questions of the audience’s merging role, and see how I can put that question later, and how another question might emerge through the development of the staged actions. Another point that I started to realise after the 1st research phase in September in Porto at Teatro do Campo Alegre, Portugal, and that somehow was still present throughout the 2nd research phase in Berlin, is that the blocks of action that we have been working on tend to keep on looping on themselves without really reaching up a point of resolution. I firstly started to frame this aspect as a problem but nevertheless each time that we aim to find it an end, what would come out was a situation more similar to a narrative, which for me is not a direction that I’m interested in ex So the drafting of a possible structure became urgent since it will be through that, that the fragmentary blocks of material will find their relational value concerning what anticipates, or what follows them. So, if those actions started to be developed within a structure, it was interesting to understand their new value and how processes of meaning attribution were functioning. So, the whole structure has a fragmentary condition/ characteristc, where the connection between the elements is often made by an interruption. Some blocks of actions are sometimes dropped, a change of costumes or space occurs (often performed on a pedestrian basis) as if ressembling a structure of a circus or of freakshows situation. 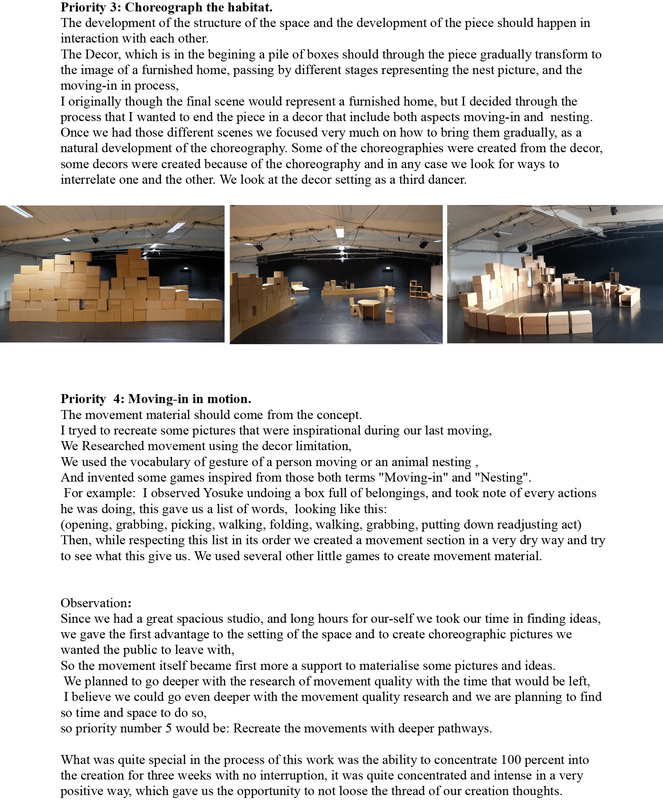 After that I started to organise several blocks of actions and see how they could work through the performer’s perspective (rhythm and flow) and how would they be spacially organised. There are two blocks (B and D) whose content is ironising and bringing a critical gaze towards colonialistic processes. In general each block is usually starting with an action that is framed in the context of the “Showman,” followed by other framed in the context of the “Monster,” and many times followed by others developed in a more hybridised manner. The work of the last two weeks focused on different ways of chaining those blocks of structure together, and make some adjustments to them. Given the constancy of how each block is organised, interbreeding different actions that organise themselves through a repetitive pattern, I first wanted to try randomness in the way the blocks would succeed eachother, in order to break the heirarchy of meaning. But some fragments of text were appearing too soon in the performance, thereby unveiling elements that should only be revealed later. Is it working? What is to work? After a few try-outs on composing the whole structure. The sequences were organised A, D, E, B and C.
That was 1h 30 of material and too long to be presented in the context of an open showing followed by feedback. During the time we started to work on the full sequence we also kept working on some actions, the form and content of which should be redefined or recovered (e.g. “Lips” sequence – now developed in a duet as doubled mirror; “Sexual monster” now adapted and inserted in the “Mr. Emperor” interview, and the “Twinning”, a.o.). Marc and I often redefined and proposed new tasks to be followed through out improvisation moments on each action. The inside-eyeing from Susanne Mayer was extremely important in diagnosing some latent and hidden potential of some material, that Marc and I from the performers’s point of view would very often not be aware of. Two days before the public showing on the 25th November we shortened the structure, removing some actions that were not yet ready to receive feedback. At the end we presented 56 minutes of material , followed by feedback with the audience. Everyday at the beginning of the work session a yoga based training was led by Marc, sometimes a Pilates class was held by Susanne and for 2 days a training based on isolation of body parts was held by Helena. Die dreiwöchige Residenz am CC Heidelberg vom 15.9.-09.10.2016 bildete die zweite- und somit letzte Probenphase der aktuellen Produktion „Phaidra- Die Virtuosität des Leidens“ meiner Kompanie, der COOPERATIVA MAURA MORALES, vor der Endprobenwoche, welche an unserem Premierenspielort, dem Ringlokschuppen/Ruhr, stattfand. Der Mythos von Phaidra, wie wir ihn nach Euripides und Seneca auslegen, ist die Geschichte einer doppelten Anziehungskraft. Auf der einen Seite fühlt sich Phaidra gefangen im Gravitationsfeld ihres Ehemanns Theseus, dem sie zu entfliehen versucht. Auf der anderen Seite wird sie angezogen von ihrem Stiefsohn Hippolyt, der sie jedoch zurückweist. Das Drama einer reifen Frau, in fataler Weise verlockt durch die Jugendlichkeit, ist aber noch mit weiteren und stärkeren Bedeutungen aufgeladen. In dieser Auslegung des Mythos wollten wir diese vielfältigen Spannungen nicht verlieren: die Spannungen zwischen aufwärts und abwärts, zwischen dem Transzendenten und dem Vitalen, zwischen dem Unterirdischen und dem Oberirdischen, zwischen Vergangenheit und Zukunft. Der tänzerische Fokus lag in der ersten Heidelberger Woche hauptsächlich auf dem „Zurückbringen“ der Emotionen, mit welchen die Bewegungen und Tanzsequenzen in der ersten Probenphase kreiert wurden, sowie einem „Wieder ins Bewusstsein bringen“ der beiden männlichen Charaktere, sowie deren tänzerische- und emotionale Auslegung. Denn diese auf Phaidra wirkende doppelte, männliche Anziehungskraft bildet eine zentrale Säule des Konzeptes der Choreographie und spiegelte sich somit auch in der Auswahl der Darsteller wider: Die unterirdische Schwerkraft des Theseus wird von Chang Ik Oh verkörpert, einem Tänzer ausgebildet im Butoh, einem Tanz, der fest auf dem Boden verankert ist. Die luftige Schwerelosigkeit des Hippolyt hingegen wird von Yotam Peled dargestellt, einem auch in der Luftakrobatik ausgebildeten Tänzer. In dieser ersten Woche in Heidelberg mussten wir uns daher auch der Problematik stellen, dass die im Stück zehr zahlreichen Szenen am Vertikalseil auf Grund der räumlichen Gegebenheiten nicht geprobt werden konnten! Stückes kreiert haben, die es uns ermöglicht, das Stück auch ohne das Seil aufzuführen. 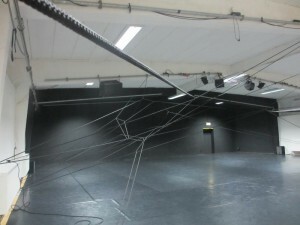 Im weiteren Verlauf der Residenz hatte wir dann die Möglichkeit, besagte „Seilszenen“ in der großen Hebelhalle zu proben, welche uns freundlicherweise vom Unterwegstheater zum Proben dieser Sequenzen des Öfteren zur Verfügung gestellt wurde. Des weiteren galt es, in Heidelberg die ebenfalls bereits in der ersten Probenphase komponierte Bühnenmusik zu verfeinern, zu üben, sowie das musikalische Setup dahingehend auszurichten, die Komposition auch live voll reproduzieren zu können. Während die Tänzer Chang Ik Oh und Yotam Peled mit der Assistentin Victoria P. Miranda und mit mir im Saal probten, befand sich der Komponist Michio Woirgardt meistens im Keller, wo er an der Musik und dem musikalischen Setup zu „Phaidra“ feilte. Die zweite Woche war geprägt von choreographischer Detailarbeit und von der Verzahnung Musik und Tanz. Außerdem besuchte uns der Lichtdesigner und Bühnenbildner Philipp Zander. Mit ihm wurden die Ideen zum Phaidrabühnenbild auf Realitätstauglichkeit geprüft und das Endmodell des Bühnenbildes erstellt. Die dritte und letzte Woche stand ganz im Zeichen des öffentlichen „Showings“, welches am Freitag, den 07.10. stattfand. Da die „Phaidra“-Premiere für den 14.10. angesetzt war, beschlossen wir, das ganze Stück zu zeigen, welches im Nachhinein betrachtet, eine sehr gute Entscheidung war. einmal vor Publikum getanzt zu haben. 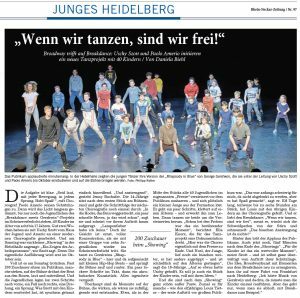 Zum anderen waren auch die Feedbacks während des anschließenden Publikumsgesprächs sehr interessant und haben dazu beigetragen, letzte choreographische, dramaturgische und musikalische Änderungen vorzunehmen, die das Stück bereichert haben. So stand unser letzter Tag am 09.10. in Heidelberg noch einmal ganz im Zeichen von „proben, proben, proben“! Als Fazit kann gesagt werden, dass unsere Residenz am CC Heidelberg eine sehr intensive, konzentrierte und effiziente Zeit war, in der wir die Möglichkeit hatten, „unsere“ „Phaidra“ zum Leben zu erwecken. Art und Wiese von Jai Gonzales und Bernhard Fauser sorgten stets für ein gutes Klima. Ein sehr interessanter Aspekt bei diesem Residenzformat ist, dass der Akt des Kreierens und die alltäglichen Dinge wie Essen, Schlafen etc. unter einem Dach stattfinden und somit eine Trennung eigentlich nicht existiert. Durch die somit entstandene Intensität hat die Produktion eine ganz neue Ebene bekommen, die das Stück in jeder Hinsicht bereichert hat! 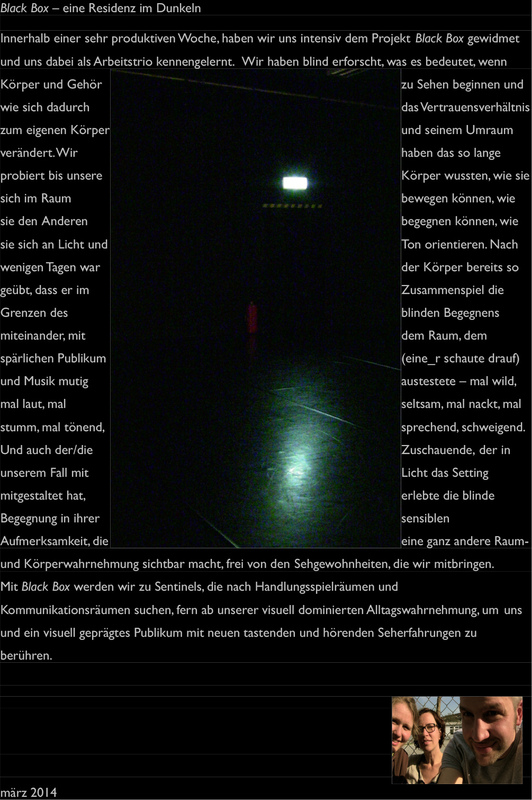 Residence Report Choreographic Centrum Heidelberg. 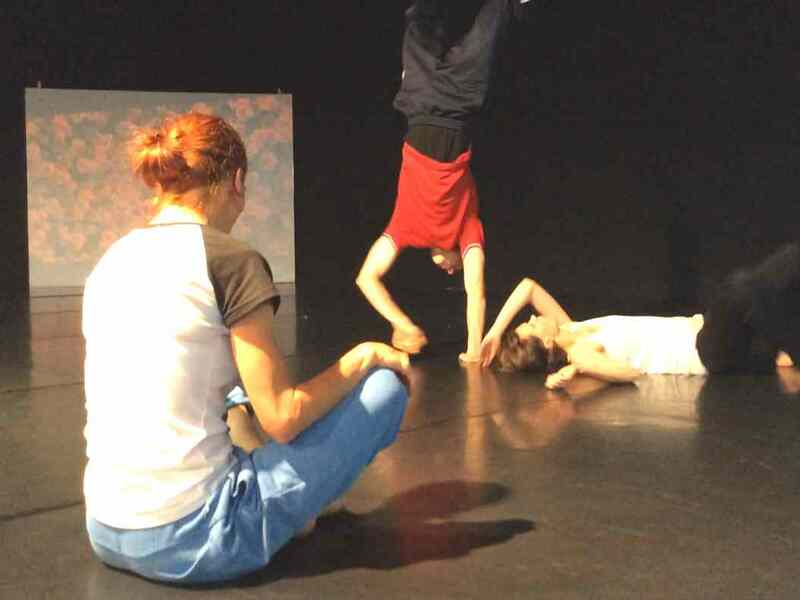 We met to start and at once re-start the MichaelDouglas Kollektiv and Prue Lang, 6 years after our initial collaboration on TIMEPIECE in 2010, which was nominated for the Cologne dance production of the year award. Since this time both the Kollektiv and Prue have continued to investigate in our own ways the nature of time and space. The Kollektiv working with the Architect and Social Theorist Dr. Ing Michael Steinbusch on the relationship between dance an architecture; how is space defined? Which tools do we use to create distinctions in space? Prue’s fascination with time continued through a series of dance productions presented as far as Paris and Melbourne. Our time in Heidelberg was to be the first time we re-entered the studio, interestingly enough, the topic of time and space being unavoidable! New space, new time, same people! For this reunion our main focus was duality in the body. Creating complexity out of simplicity, or allowing a simplistic movement to resonate through the complexity of the body. Our aim was to initiate a highly articulate physical practice that utilises diverse choreographic modalities. When we imagine all the actions that a body takes without our consciousness, without our observation. Such as breathing, digesting, hearing, walking or even opening a door. We realise that the body naturally moves with incredible complexity without putting any thought to it. We challenged ourselves to investigate our bodies moving according to their own complexity by creating specific modalities. One example was to place the attention on the hands, one hand was to be clenched in a fist, the other the fingers flat, an open palm. Should the hand in a fist be opened to an open palm, the other hand was to simultaneously close into a fist. This modality was then explored layering on all aspects of physical knowledge that we as dancers inhabit. The focus placed on the hands in turn would allow the body to move in a new way, to find it’s own new complex organisation. The length of our stay was marked by long explorations, and intense discussions. The nature of our collective means that while we have roles we aim to avoid hierarchy. 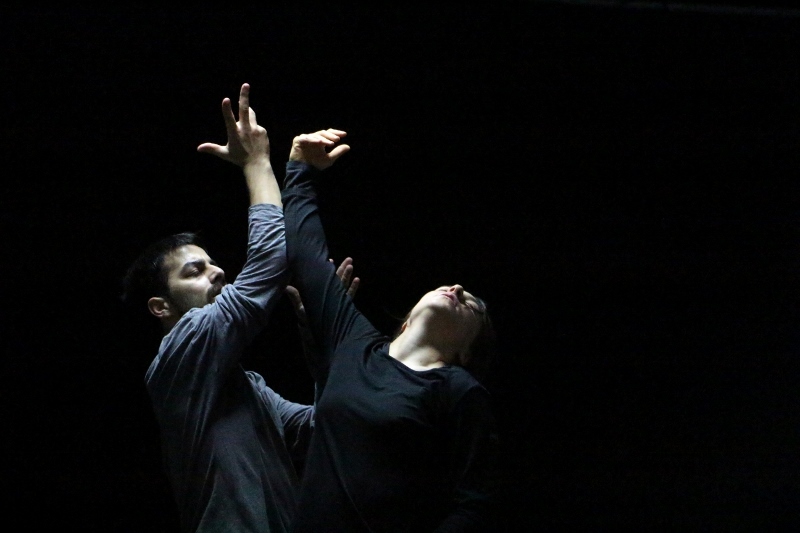 The dancer and the choreographer work together to discuss and develop an independent creation, something that exists between everybody involved. We used the time to expand physical practice, observing ourselves and each other, giving feedback and noticing the shifts in our physical expression. We decided to show everything we ‘had’ for the presentation, one question that we really wanted to address is how to shift the audiences experience of the their body while watching the performance? What action could we take to bring the audience into the experience of time and space through the body? We decided to offer each member of the audience a touch, an action that was replicated onstage during one section when we work on the sensitivity of mutual touch to instantly create dance. We introduced ourselves to the audience and offered them a mini 1 minute workshop, and mini introduction to what we would then later do onstage. The presentation proved to be a useful chance to test this idea out. Audience members we spoke said they enjoyed the introduction and felt closer to the work. We will continue to develop this idea in the coming rehearsals, we wonder if through words or actions we change create a new perspective for the observer that shifts their own observation of time, and experience of space. Inspired by the future consequences of the technological revolution, Boiling Cold takes a daring look into the way we communicate. 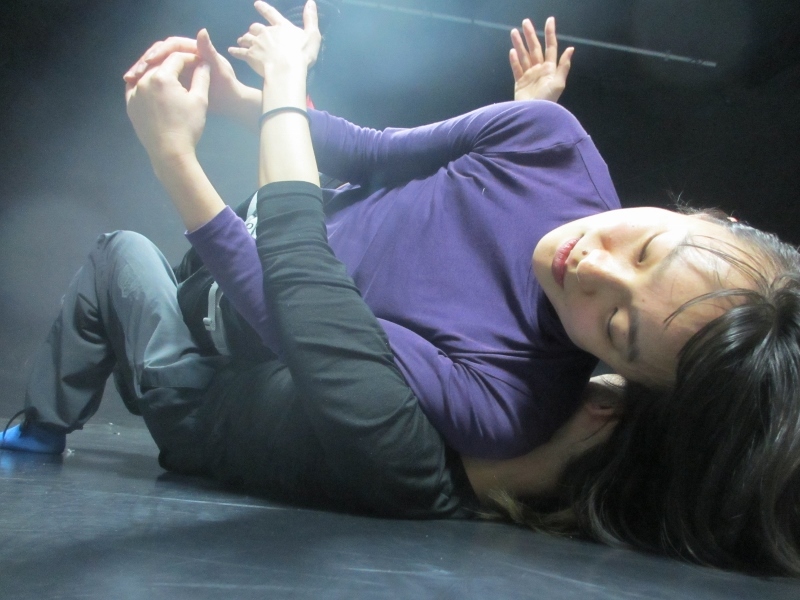 Two dancers are interacting in two separate settings exploring human encounters such as distance, proximity, playfulness and efficiency; A shared search of the future and a study on the fragile beauty of human interaction. With its two settings combined Boiling Cold offers a unique experience of two choreographies, two different atmospheres and a doubled amount of dance. Theaterfestival „Schwindelfrei“. 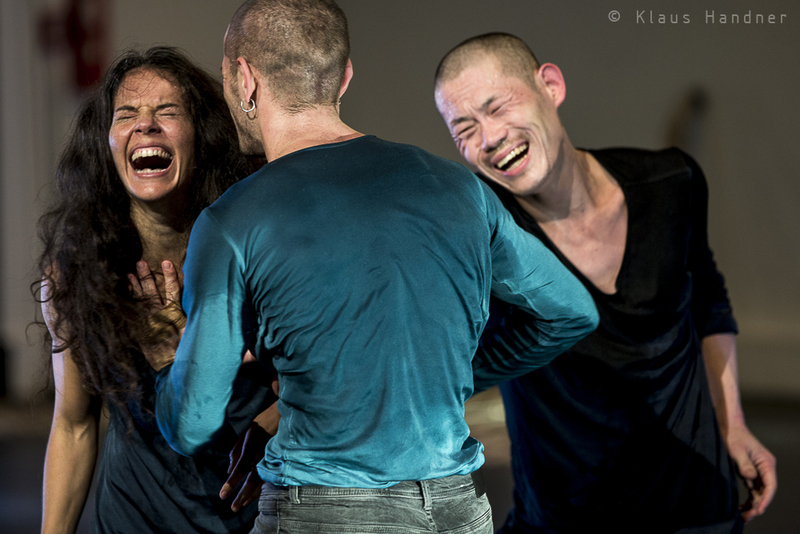 Leading up to these performances we had a research period of 2 weeks at Theater Heidelberg (thanks to the generous support of the Dance Company Nanine Linning/theatre Heidelberg) and worked at the Choreographiches Centrum Heidelberg for 8 days; 4 days in March and 4 days in May 2016. March 2016: During these 4 days we focused on the solo section of the work. We were exploring the idea of giving life, meaning, complexity and importance to something and then stripping it down to its essentials, creating a practice of efficiency. 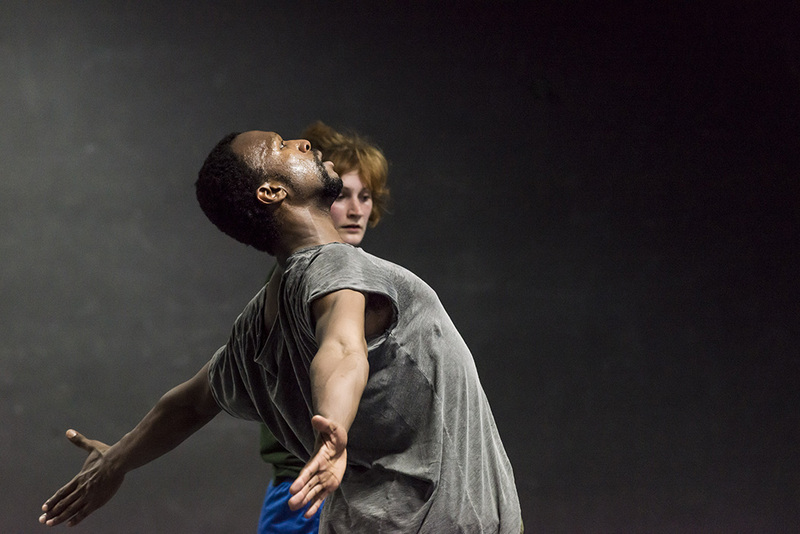 We created a system where Evandro (dancer/performer) creates a choreographic movement phrase live in the moment, allowing the audience to see the process of building the phrase. 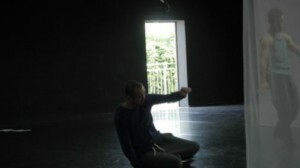 We discovered that through such an exposed rigorous process the audience could become attached to the steps, process and choices that Evandro was making, as if they were part of the process itself. This sense of attachment made the efficiency editing process more impactful. Once the phrase was built and perfected, Evandro began a new process of elimination through efficiency, breaking down the phrase to its essential elements. First he would take away the decoration of the movement such as accents and qualities. Then simplify the transitions between movements, making the phrase shorter and easier to execute. Then he would edit out effort-based movements such as going to the floor and jumping, leaving him with only gestures and directions in space. Then he started narrowing down the gestures and directions one by one till they were gone. Finally leaving him with no movement at all. May 2016: These 4 days were dedicated to building a structure for our upcoming performances of 20 min. 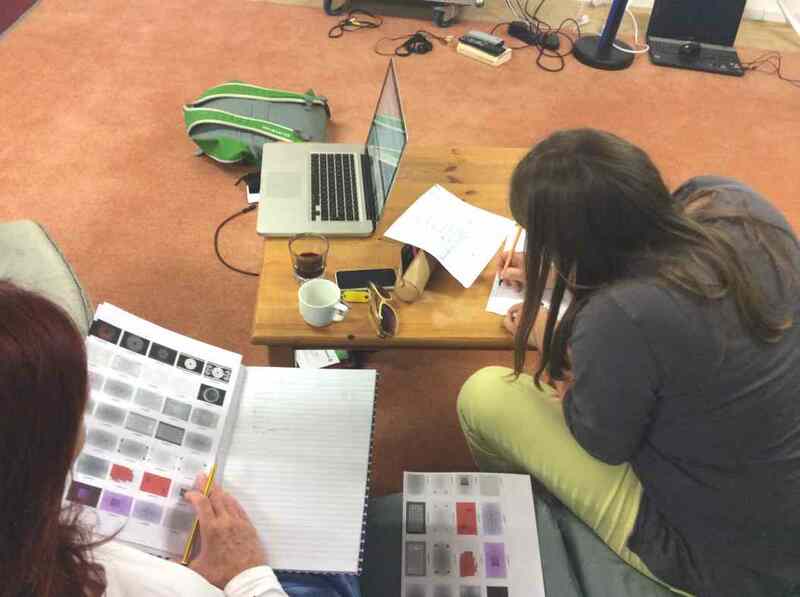 We spent these days selecting certain sections and ideas that we had from our research period and explored mixing and matching sections to try and give the public a concrete experience. This was the moment in the creation process where we were faced with the dramaturgical questions of what we wanted the audience to experience and feel. 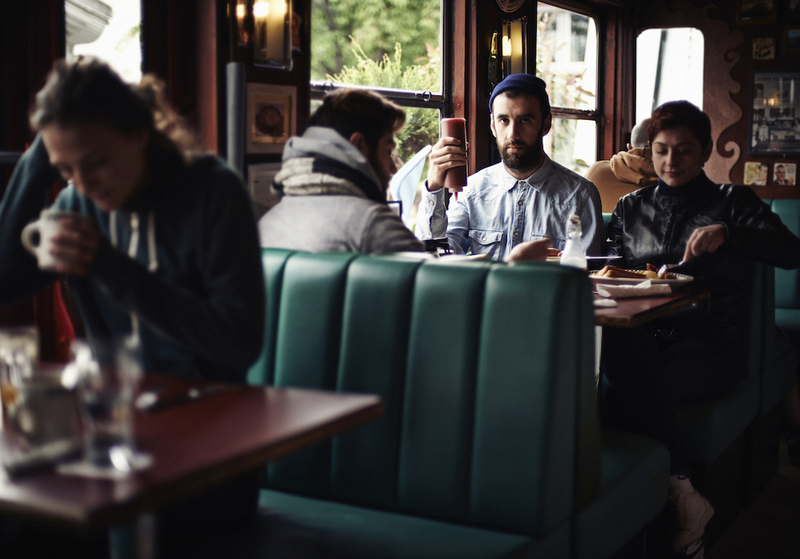 We realized that our main goal was to trigger dialogue and personal face-to-face communication between the public. To do this we had to give them an experience of mystery and misunderstandings. We explored the unique setting of the public divided into the 2 separate sections. We came up with a structure that gave 1 side of the public a journey of seeing both dancers together and slowly separating them till they were both gone and dancing on the other side. The other side of the public got the opposite experience; not seeing any dancer for a while and only hearing them dance on the other side. Next only seeing one dancer and eventually ending with both dancers in front of them. Public presentation on May 27th: The presentation was very helpful for us to test the idea of separating the public into two. The discussion after the presentation was very thought-provoking and helpful for us to understand from the public what its like to witness this unusual scenario. What we were happy to discover is that the construction of this idea did trigger dialogue after and that worked very well but what surprised us was that people experienced frustration with not being able to see everything that was going on. We realized after this presentation that we needed to find a way to transform this experience of frustration into more curiosity and intrigue. In the coming fall, the premiere of the full-length evening can be seen on 18.11., 19.11., 20.11., 25.11., 26.11., 27.11.2016 at Theater Felina-Areal, Mannheim. Mabel renders homage to the difference, to the abnormality and to the innovation as an inexhaustible source of surprise and diversity. It is an antidote to the intolerance and an approach to the unusualness. Mabel is also a material to think about us and on the role that we believe we are representing in life. Mabel proposes to be vulnerable human beings who are able to look at things we don´t agree or manage to understand. Images that we are able to interpreted with the force of our feelings. Mabel is a character I created in my mind, a woman that tries to understand all her reactions in different situations that take place in her conscious and unconscious world. Her mind reproduces many surrealistic images which lead her into a deep trip. Sometimes she is in complete control of her actions and other times she simply looses it. Sometimes I think about her, I close my eyes and I see her face as a diamond shape where each side shows different personalities. For this process of the creation I chose five very different female dancers in order to represent this versatility of Mabel. During this process I have been insisting in finding this imaginary woman in all of us, without loosing our own identity. 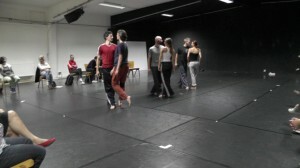 We, all the members of the company, were doing three weeks rehearsal at the C.C Heidelberg as a part of the Residency program. Every week I focused the work in different aspects. The first week we went deeper in the movements quality and we tried find our own personality inside the movements. 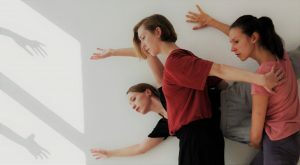 The first version of the piece was created with only three dancers so in this new version the other dancers had to learn and adapt themselves to the meaning and quality of the piece. During this process of creation I realized that we were developing the choreography in a new direction. We explored new stories that appeared in the studio through the talks and the improvisation of several tasks that I proposed to the dancers. On the second week I concentrated the work on a scene of the piece to create an atmosphere that would represent the dreams. This part was the more fragile and difficult to represent. 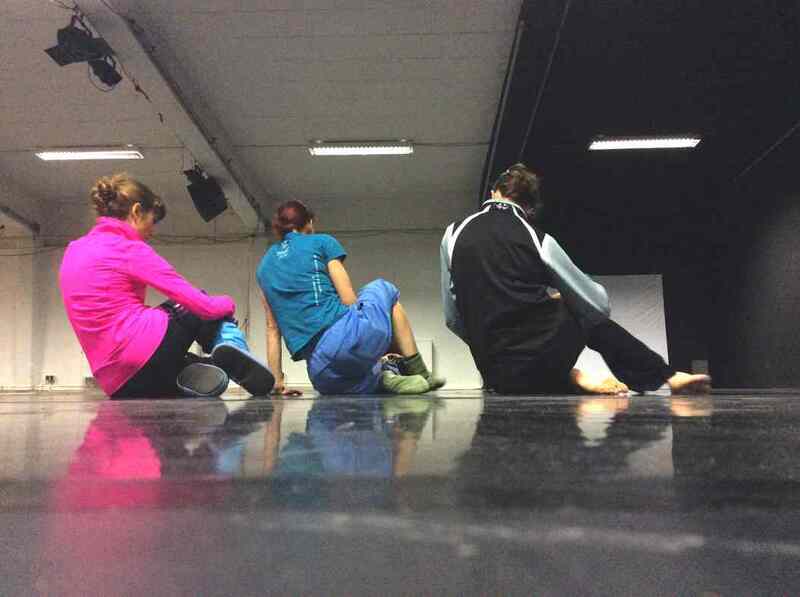 All the dancers had different ideas about this topic, so we discuss it and try to get closer to my first idea. My impression about sensations that we have in a dream, how to interpreted the movement without getting too dramatic, how to walk with high heels and feel that we were flying, or even how to be present without doing anything in “pure silence”? The other aspect that we were working was our relation with the flying pigs. These are very important object for me, the key for the surrealist character of the piece. How to catch them? how to get them part of ourselves? My intention was to include them in our way to communicate and express emotions but always giving an abstract meaning. With this aspects we close almost the second week of work. The last week I decided to organize and rehears every part preparing ourselves to the showing that we had to do on Friday 22nd. I used a couple of evenings to record some parts in order to have material to create a promotional video of this new version of Mabel. We ended the residency with the showing , it was a great opportunity to had contact with the audience after and have some feedback. Interview mit Residenzkünstlerin Sonia Rodrigez anlässlich des Showings im CC. First phase of the residency is 7th till 11th of March. This is a phase of pure research. There will be try outs of materials that could possibly be in the film or for the performance. 12th of March till 14th of March is a first period of shooting images for the film, there will be a camera lady, a writer and a dancer joining from Bochum and Essen. 15th till 17th will be again researching and developing the material for the second period of shooting images. There will be a possibility that we are working mainly at outside locations for this section. 18th till 21th of March is second period of shooting images, there will be a camera man and a sound lady joining from Düsseldorf. 22nd 23rd will be the editing and preparation for the showing at Choreographisches Centrum Heidelberg. 24th of March will be the showing. Please, can you describe the work and act of choreography? 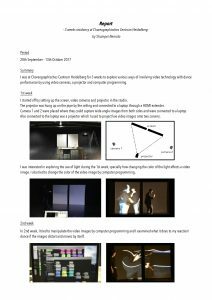 About my work and the act of choreography, through Video editing I learn more and more about the importance of rhythm and space in composition. At the start which was something unexpected, filming and process of editing changed my view on choreography. It made me understand the choreography from a different angle. 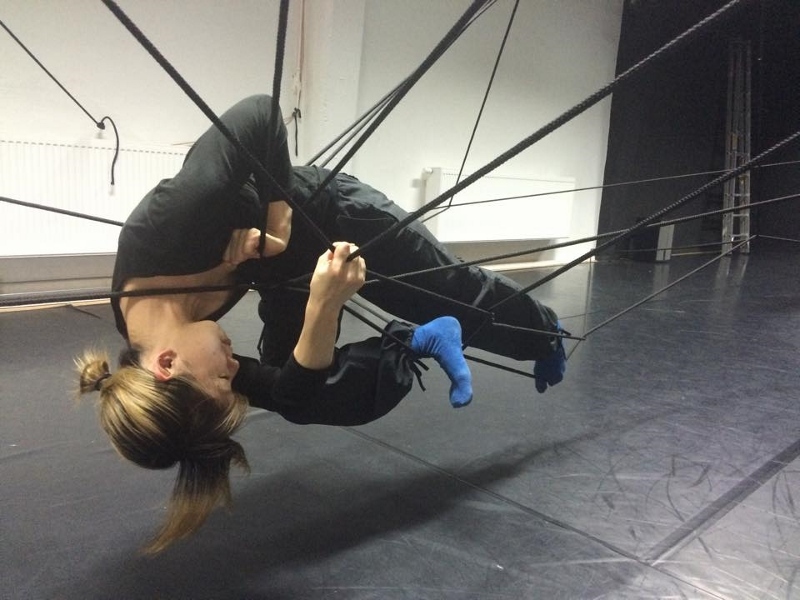 My act of choreography deals with movement,space, images and narrative. New work is more of narratives comparing to my last work in Heidelberg. For the 1st time you worked with „normal“ people also. In which way has this transformed you work? It had influenced a lot. Last time I was bringing in some objects (props) to accompany my choreography, this time most of it is gone and some new things came up as a result of new encounters. It was almost like work emerged through encounters and each encounter became a plot in the film. First 10 min of the work is shot by a home video camera which gave me tremendous flexibility, meeting Nieves Chaón and having a dialogue with her gave setting for my new work. It started with her telling of the dream she saw the night before the shooting. It was quite amazing to see small things that happens by meeting can sometimes go deeper into the creative process. There are very practical side to these encounters, too. Through the meeting, I got to know the places I never knew before. The scene at the swimming pool is the place that Rita Martin told me and I went to the place to see and I immediately felt attached to the place. With each encounters there are different feeling and emotions, I proposed each one with different propositions. So the film became more complex and rich. 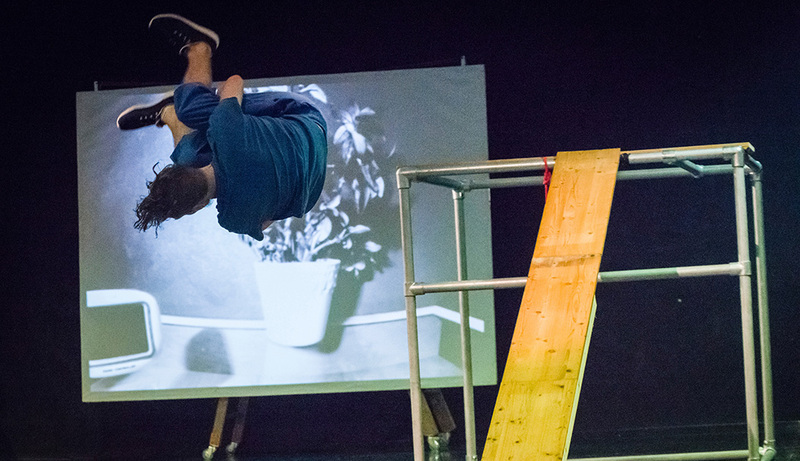 Can you describe Heidelberg from the pint of view of you as film maker and choreographer? What have you discovered in these 2 weeks in the CC? Heidelberg for me is a wonderful location to make films. The scale of the city is ideal to walk around that allows me to be in the city and nature almost at the same time. This time the geometrical condition of being in between mountains influenced the work in unconscious level. I feel that there is a sense of groove (Ditch?) in my new work. New location I have discovered this time is area of Neuenheimer Feld of which I did not know from the last visits.The most precious thing I learned is that, it is possible to meet up with people and go with them into creative journey. It was overall very exciting process and left some stories that can stay long in my mind. Hopefully I will have another chance to come here, that will make my work triology. -control has many levels: society, personal,…. working also on a duet with Yuri and Luca, which is half playful, reaching and playing around each other but then also a small power game, provoking and playing tricks on each other. working more on the group choreography, stating that timing and emotional trueness is important to make the atmosphere work, and to let the true flavor shine trough. We create a situation where one person tries to escape the group, but where she gets pulled in immediately again. The group doesn’t allow her to be anything else than they are. Continuing with the duet for Luca and Yuri, finding more situation around each other, also focusing on timing and crispness of the choreography, that otherwise looses it’s freshness and special flavor. We start again with the group choreography, and we find different dynamics compared to the days before. We unify into concrete rhythms and start a kind of marching situation, which then starts to move through the room with different rhythm patterns. We remember, that rhythm can also be a control condition, like military structures or religious processions. We find more material for Yuri and Luca, going into almost humorous places, but somehow sarcastic and absurd, still playing roles and tricks on each other. We start again with the group choreography, and go through it to polish details and timing and spacing , then we add to the marching part which starts to be more tribal. We find a situation, which we repeat in a different way, like control is also about repetition and obedience. It is like a constant routine which we adapt to without even realizing. We continue with the trio of Erick, Laura and Luca, and we start to create a pattern for the controlling character in the choreography. The situation is recurrent, Laura wants to leave the dominating situation with the other performers, but she gets sent back by Yuri, awaiting her at every exit. Its like a nightmarish loop. We start a new duet between Laura and Erick, which talks about the emotional damage the control causes in people. It takes two individuals out of the crowd and allows them to show the vulnerability in each of them, playing with the individuality of each performer, wanting to escape from the conformation in the system. We play with an organic approach in the quality of the movement. We continue also with the research of Lauras Solo material. We focus on what initiates each movement and the clearness of weight and impuls, making an effort on qualities. What is the aim of each moment, and how do we control it’s outcome? We came here to work on the topic “ control”, which is something not very tangible, somehow abstract, but nonetheless inevitable. We all seem to be controlled by something, consciously or not, driven into certain directions, to make choices, which are no longer free choices, living lifes more predetermined than we would ever want to know or admit. While being controlled by economy, bureaucracy, state systems, religion, technology and consume, we don’t get tired to also be controlling and oppressing on each other, even down to very private and personal levels. I find it very interesting what it does with us on an emotional level, how we come to deal with all this. 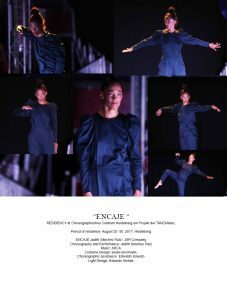 The piece is a voyage for every performer through all kinds of states, from perpetrator to victim, from being united in the group to being expulsed, from teasing to being spied out, from love to mistrust, from executing orders to understanding the aftermath of what we are doing. It is a stream-of-consciousness like experience, where no one will be the same afterwards, even though seemingly maybe yes. Life isn’t one-dimensional, and people have many faces. But for sure there is no: “ the good” and “the bad” ones. If there is control, there must be also people who want to be controlled, or who just give in to a certain convenience. People who just accomplish or try to fit in or give in to the seduction a system or control-mechanism offers might not think what damage their behavior causes and how they help the control that way to grow over us. Part of my work here in Heidelberg was to find out about the texture of control on many levels, structurally but even more important emotionally. The choreographies are charged with all these different textures and translate them into dynamics, moods and atmospheres, trying to find a face for the anonymous phenomena control. Mit der Residenz am CC Heidelberg Ende November / Anfang Dezember 2015 begann die erste Probenphase für den zweiten Teil unseres dreiteiligen Projekts »becoming undone«. 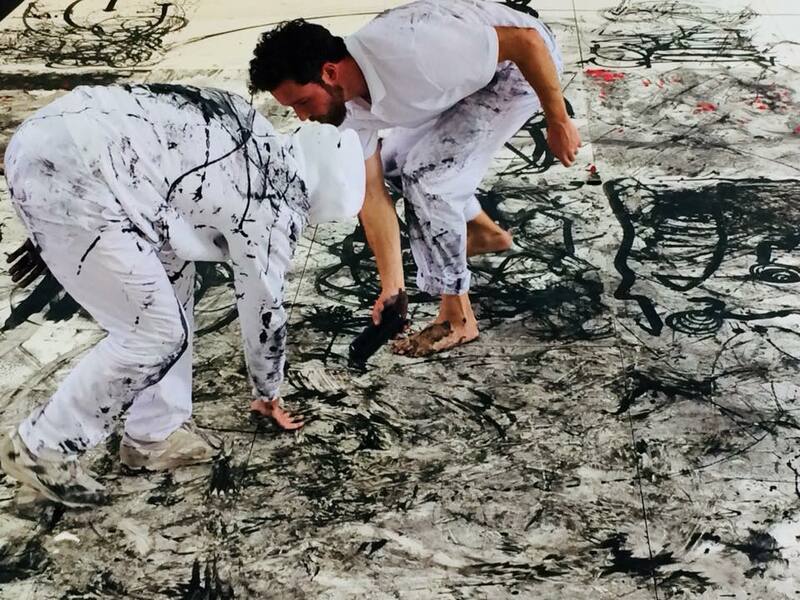 Den ersten Teil – »becoming undone – PART I« haben wir im August/September 2015 als einen Hybrid zwischen Performance und Ausstellung im Studio 1 (Kapelle) des Kunstquartier Bethanien in Berlin gezeigt. Der zweite Teil »becoming undone – PART II« kommt im Februar 2016 innerhalb des Festival »Open Spaces« / Tanzfabrik Wedding in den Uferstudios Berlin zu Uraufführung. Im November 2016 schließlich wird das Projekt mit dem dritten Teil abgeschlossen. In »becoming undone« beschäftigen wir uns mit Möglichkeiten evolutionärer (Ergebnis)Offenheit. Der titelgebende Begriff ist der gleichnamigen Schrift Elizabeth Grosz` entliehen. Sie zeichnet darin ein weitreichendes Verständnisses von Materie, Natur, Biologie, Zeit und Werden. Nach Ankunft, Akklimatisierung und Erkundung des Geländes haben wir Möglichkeiten von Probenstrukturen erörtert. Ein Bereich der Probenstruktur war die Etablierung eines physischen Research im Spektrum der mit »becoming undone« einhergehenden Assoziationen und Fragestellungen. Daraus ergaben sich unterschiedliche Ansätze: (Kleinst)Formen von Körpern und Bewegungen erproben, Körper als Organismus in evolutionärer Offenheit denken, mit anderen Aggregatszuständen von körperlichen Strukturen experimentieren, Hybridformen von Körpern suchen. Was davon ist vorstellbar, darstellbar, erfahrbar? Neben den o.g. Versuchen im Weiten und Wandeln von Körper und Bewegung haben wir parallel ein weiteres Probenfeld eröffnet das in experimentellen Versuchsanordnungen die Weitungen und Wandlung von Stoffen untersucht. Eine Reihe von chemischen Versuchen/Experimenten wurde durchgeführt z. B. Katalysereaktion eines Stoffes. Auch hier stand die Beobachtung von Kleinstformen und –strukturen und deren reaktiven und transformativen Qualitäten im Zentrum des Interesses. Diese Versuchsanordnungen sowie deren mediale Dokumentation haben wir auf die mögliche Anwendung als Bühnenmittel hin untersucht. In der zweiten Woche haben wir die ersten Anlagen vertieft und erweitert. Der Bewegungsresearch fächert sich nun auf drei Qualitäten hin auf: Bewegungsqualität I kann mit amorphen, kleinstteiligen, mikroorganischen, einzelligen, evolutionär offenen Eigenschaften umkreist werden. Bewegungsqualität II ist ein präzises, reduziertes System aus begrenzten Bewegungen, auf die vielleicht eine andere/weitere Stufe von Entwicklung projiziert werden kann. Ein hybrider Körper, der scheinbar mit nicht humanen Elementen gekreuzt erscheint. Bewegungsqualität III experimentiert mit verschiedenen körperlichen »Aggregats-zuständen«. Ein Körper, der partiell in veränderten Aggregatszuständen erscheint. Zusammen mit unserem Mitstreiter und Sounddesigner Rudi Fischerlehner haben wir unsere Skizzen aus Bewegung, Experimenten, Medien und Raum auf ihre akustische Dimension und derer Verbindungslinien hin untersucht. Aus diesen Verbindungen haben wir im nächsten Schritt die ersten Skizzen für ein Showing am 4. Dezember 2015 erarbeitet. Dieses Showing mit anschließender angeregter Publikumsdiskussion hat schließlich unsere intensive, zweiwöchige Residenz im CC Heidelberg zum Abschluss gebracht. Mit Bewegungsskizzen und weiterreichenden Ansätzen der Sound- Raum- und Medien-Ebenen sind wir nach Berlin zurückgekehrt. For this piece, we plan to integrate the works of three different artistic disciplines together. We are very excited but also worried if all our efforts will finally lead to a well choreographed piece at the end. For sure, it will be a great challenge for us, since all artists have their own understanding about the way how to present the idea. Arriving on Monday alone in the afternoon. Meeting Bernhard. I walked around the city for 5 hours to get inspired from the first impressions of the place. Some locations for the video shooting are found. Starting to get the rough ideas of how I would like to use the space of choreographic center. 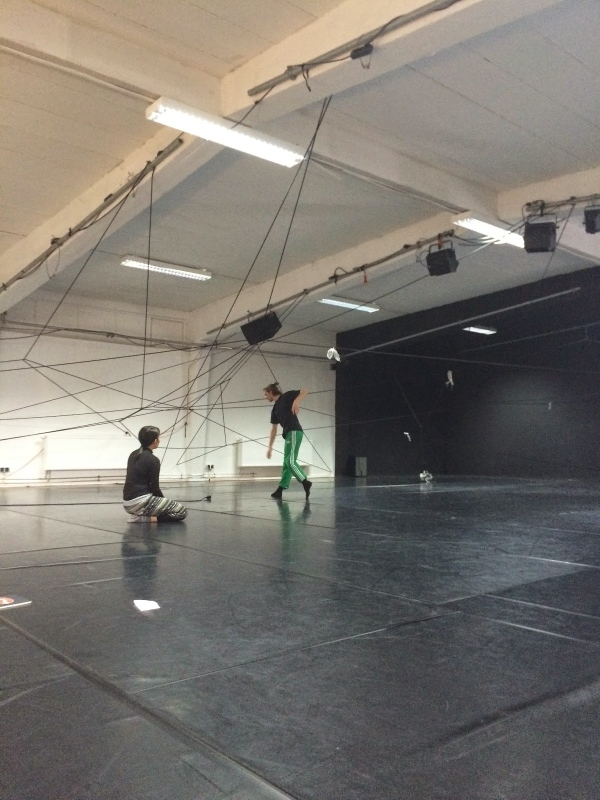 Deciding to use different rooms of the choreographic center to create the way of traveling for the showing. I had an impulsive idea to make an installation using old postcards and other objects. This gave me the idea of mixing the element of performance with the elment of installation. Trying out different ideas and making order of different events to happen. Trying out several installations idea and movements with objects. Finishing the rough structure for the showing. Starting to make compositions with the old mirror. Creating the contents to fill the structure. More detailed compositions of movements and images. Coming week will be more or less about learning to move with different object that I use and making compositions with them. I will be adjusting the structure of the showing in relation with what comes up in the compositions. On Friday will come the Film makers from Düsseldorf to make the shooting untill 14th of September. – Schwimmen in einer Schwimmbad und zu spüren wie es wirkt oder fühlt diese Bewegungen dort und andere auszuprobieren. – „Wasser in mir“ – weiter entwickeln – mehr von dem ganze Körper, jeder Teil mehr isolated, klarer wo das Wasser was bewegt. – Bewegung Inputs von Daniel (Schauspieler) über alle freie Mögliche Ideen über Wasser – wie ein nicht Tänzer, trotzdem Performer, sich bewegt und auf das Thema reagiert!! – Dekonstruieren das Schwimmen und Fragmentieren die Bewegungen durch Armen – Beinen – Kopf – Atmen – Ein System damit kreieren und neue komponieren, dass diese Schwimm Bewegungen Fragmenten, Musik Noten wären und eine aleatorisches Arrangement von Frauke und Magali gegenseitig bekommen . – Sound check Daniels Aufnahme von ein Tag da vor. – Neue Ton Aufnahme von den Textstellen von „Das Spiel ohne auf die Erde zukommen“. 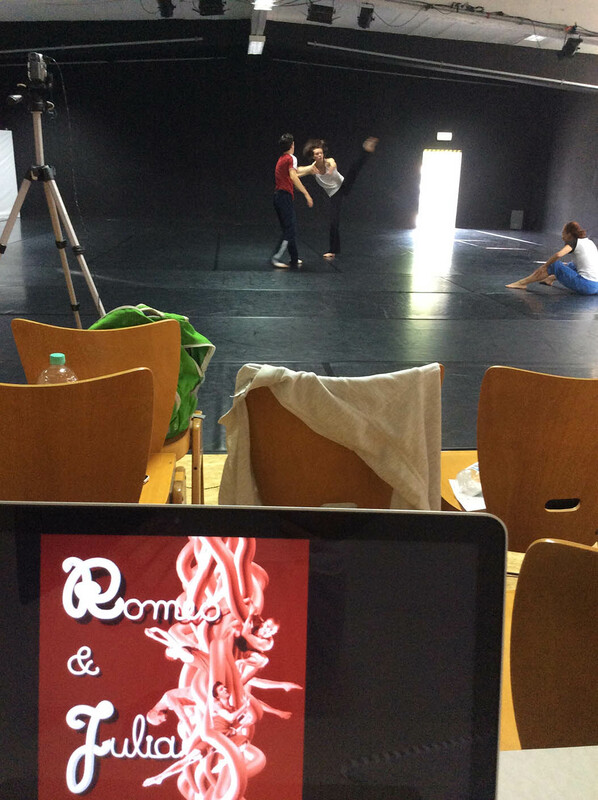 In 2014 we had the great privilege to spend 4 weeks at the Choreographic Center in Heidelberg to begin researching a new project about social hierarchy. Last year we spent our time exploring games, how they function and how people change and behave when they play a game. We also explored the theme of Psychopathy and researched careless movement. We were curious to try out some ideas of games with the public during the final presentation. Now after researching and gathering material to work with, we were determined to create a work that is more set as a choreographic score. Our aim was to take the public on a journey through emotions of power, control, manipulation, peoples‘ intentions and deceit. To do this, we created a game show type setting where 4 dancers play – like guinea pigs – a series of choreographic games and tasks. However, one of the dancers is an apprentice who does not know the choreography or the task and needs to figure out what is happening live during the performance and try to join in. Also I was in the piece playing the role of choreographer/director/person in charge. Eventually, the piece ends with the dancers trying so hard to win the game that they turn on each other and destroy one another, leaving me, the choreographer, left to play alone. The most important part of this residency was the final presentation. Unlike last year, this time we presented a product (not theatrically finished but a draft of a finished work). This was a great opportunity for us to test how the piece (as a piece) affects the audience and test if it works. The feedback from the public was extremely important for the continuation of this project and we are very thankful to all the people who came to see it and offered their feedback. The public was divided in their reactions. Especially towards the way I performed my role of the choreographer. In a way, my role was not very clear; was I there? was I not? was I representing an energy? Was I just being myself or was I playing a role? There was a big discussion about this where some people expressed that I should be more present and clear and some felt this vagueness was just right and added a sense of mystery to the piece. Now after the presentation and some reflection time, I personally like that the public was divided in their opinion. It triggered an interesting discussion about how we see people in the role of authority and expressed quite well the charm and deceitfulness that people in power have over others. So in this case, we are quite happy with the result. The project is inspired by the work of Steve Reich. Phasing is one of the compositional techniques that Reich used and I would like to challenge my compositional skill by exploring a way to use phasing in dance. Reich says that phasing should be played by two identical instruments and sometimes he used prerecorded material in order for a solo musician to play to at a performance. 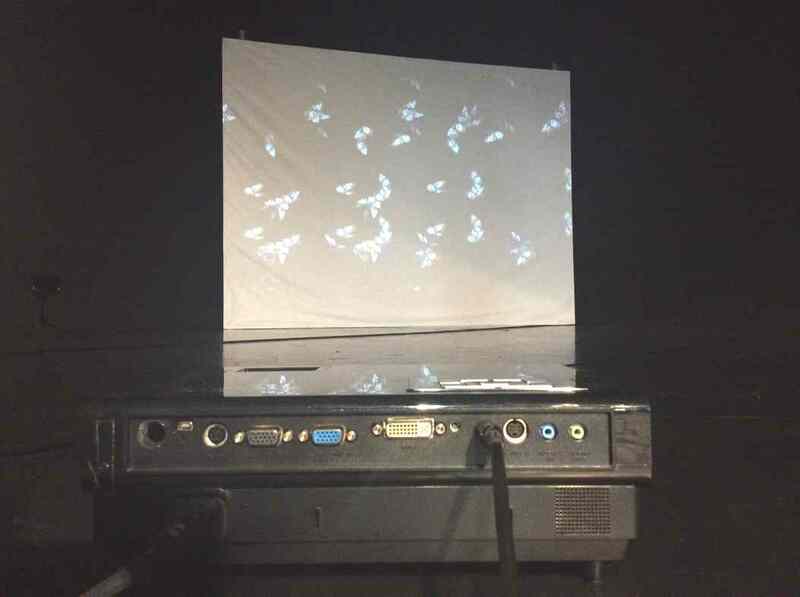 And I thought of using video projectors to duplicate each dancer, thus the dancer can dance with a video projection to achieve the phasing effect. Is to task my self to materialize the ideas that I have in my mind and to process them fully by using the time, space and facility of residency best way possible. I am expecting to gain some knowledge about choreography and to learn how to keep my self open to any progression of the ideas. Q: What kind of movement material is suited for phasing? changes in the movement. Which means most of them were kept very simple but in certain rhythmic patterns. Sometimes I put music in short repetitions in order for me to keep in short movement and to examine whether that movement can be repeated as much as possible with any harm in body. Q: How can I develop the sequence that fits in the idea of phasing? A: I tried several ways of setting the sequences in relation to the phasing and it ended up in a looping system that shifts one movement at the time. Q: How do you determine the length of the sequence or the amount of loopings? A: This was the most crucial and difficult question that I had during the process of the work. I tried several variations of it and I and the dancers were examining what length could be done physically. The last variations of a repetition were up to two to four times for each sequence. 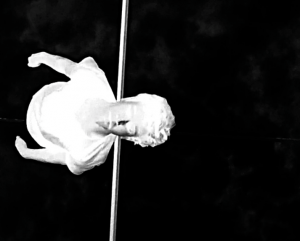 Q: How did the dancers relate to the video projection? A: I took reference from Reich’s composition. 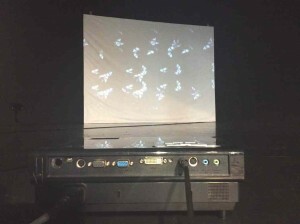 It started with video projection and dancers joining to do same movement in unison to the video and slowly shifted the amount of loopings, thus the dancer ends up being ahead of the video. And in the end, they went back to unison with video projection. It was very difficult to define the system that worked best. It also required a huge effort from the dancers to remember the sequences and all the changes I made through the period of experiment. It was a demanding project, but I could determine the way of working clearly from the begging of the process, which helped to progress the idea without much conflict and confusion. I will carry on to further develop the same idea and I would like to research more deeply and try out all the possibilities that came up throughout the residency. Especially since I did not have so much time to explore the possibility of using video projection and since I have had an idea how it could have worked I could take further with more consideration of involving the video itself. Throughout two weeks of residency, I believe, I used all the time, space and facilities of the residency the best way possible and it taught me how much I should plan ahead in advance and how much time I should give my self to think about things. I learned how to set up the video projection or lighting, but it also made me realize how much time it takes to set up those things, which I was not aware of. The possibility and support that Choregraphisches Centrum Heidelberg gave to me was absolutely great. I could not have managed to explore what I did without their facility. The studio, the people, the accommodation and all the other things could not have been better. I definitely gained some knowledge about choreography but not only about the dance. I noticed the importance of who you are working with and where you are working at. I am very thrilled to continue working on the project and I hope I will be able to present the work sometime soon. „les lendemains qui dansent“ den ersten Preis erhalten. Im CC-HD hatte die junge Truppe im Juni 2014 an ihrem Stück jetzt ausgezeichneten Stück gearbeitet und war anschließend mit „Behind the body“ bei ARTORT014 zu sehen. Wir freuen uns mit „La Verita Dance“ und gratulieren! 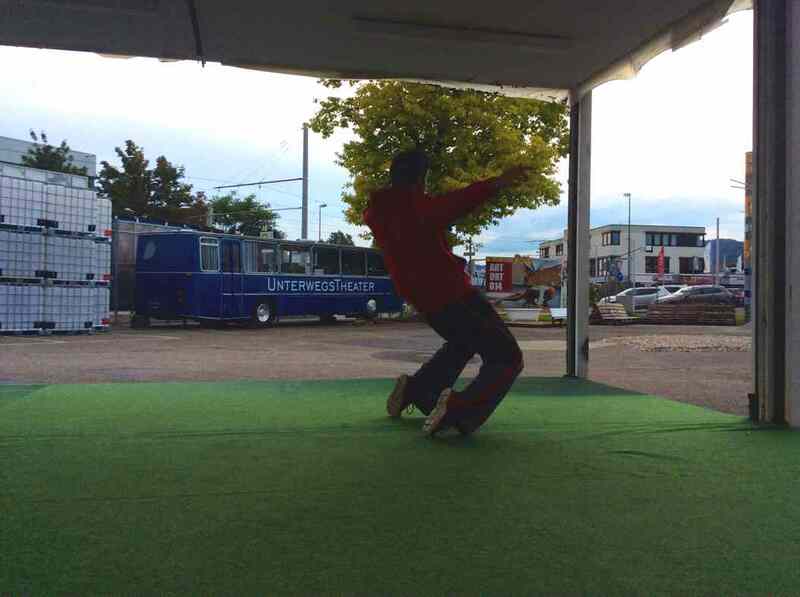 La verita Dance Company im Sprung nach vorn! In the first week of our residency we’ve been researching techniques involved in partnering and developing methods and terminology. Next to the research we’ve been creating new movement material pure from the partnering point of view. We’ve been busy with two short duets. In the first one we are using techniques more familiar to us. For example using weight on more obvious manner – the man lifting the woman and by doing this creating volume and harmonisation. In the second duet we are challenging ourselves to use other kind of techniques. We switch roles of who’s receiving weight and who’s initiating the movement. We are finding techniques and dynamics new to us. Meanwhile we were analysing the two duets through the methods and terminology being developed at the same time. With the wonderful weather of the first week, we of course did some sightseeing, biking around the city and enjoyed the local delicatessen! On the 2nd week of our residency we continued our research of partnering and working on the two duets. While revaluing the methods and terminology, many discussions occurred and ideas were flying around. We made lot of progress, many things got clarified and categorised. Second part of the week we started to prepare for the Friday evening presentation. Since we were not making a performance, we decided on a form of a ‘lecture performance’. While practising for the showing, once more we got to rethink the theories we came up so far. We were also polishing our dance moves. Friday evening we presented our results for a small but very interested audience. The reactions were positive and supportive. 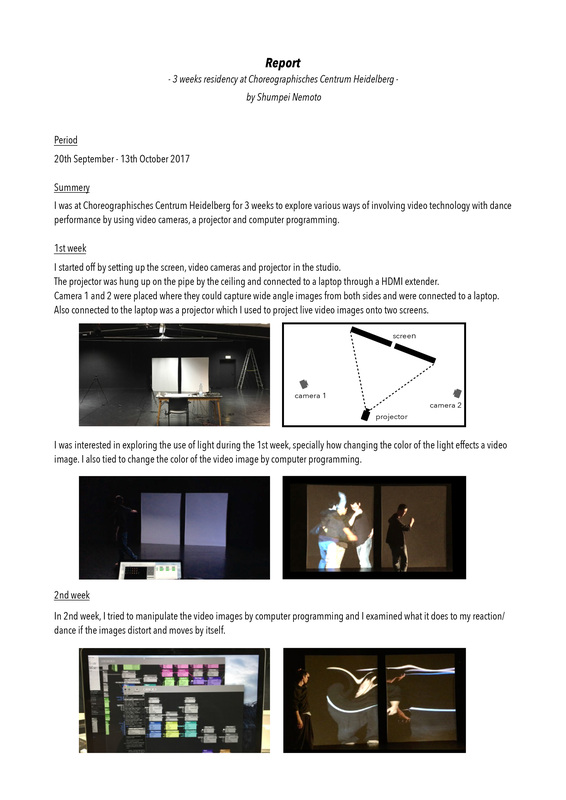 The set up of artist residency at the Choreographic Centre in Heidelberg was perfect for our research and we are very happy with the results. We’re looking forward to continue the project and hopefully return to Heidelberg in the future. Big thank goes to Bernhard, Jai and Emma! I was alone doing my solo work for some days. 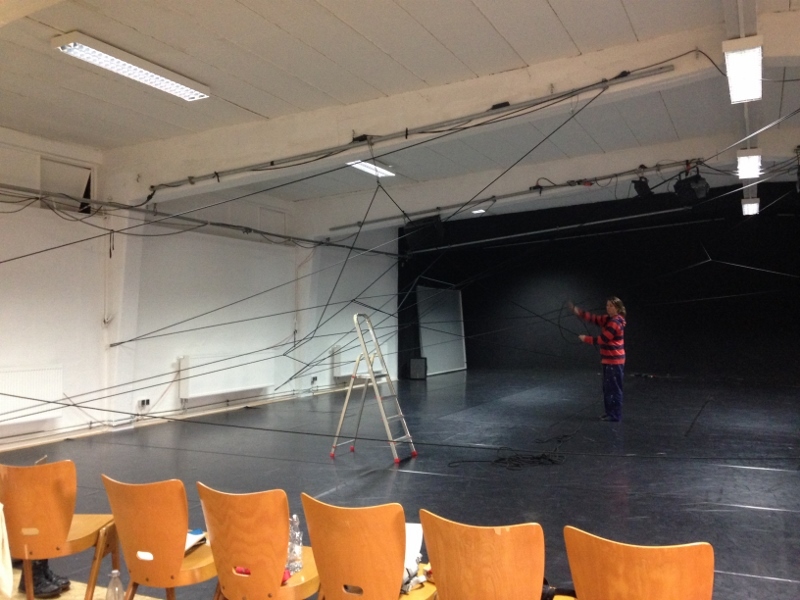 On the 4th day Katharina (stage design) came and created an installation with black rope. We had lots of meetings before the residency started. Before she came, I was very worried about the height and depth of the studio. The studio was deeper and flatter than we had thought. I had the idea to suspend a dancer from the ceiling and was worried whether the height would suffice. Katharina came up with the idea to create a kind of web with the ropes. In fact the CC studio enabled us to realize all of our concepts and ideas. The web we created added width and depth to the studio and therefor gave us a different space to dance in. We were worried that the installation would claim all the space that was meant to contain the dance. You have to think about body expressions together with an installation. I wanted to be independent from the installation and find a way to realize both individually. We finished the installation and after the dancers had arrived we started working together. 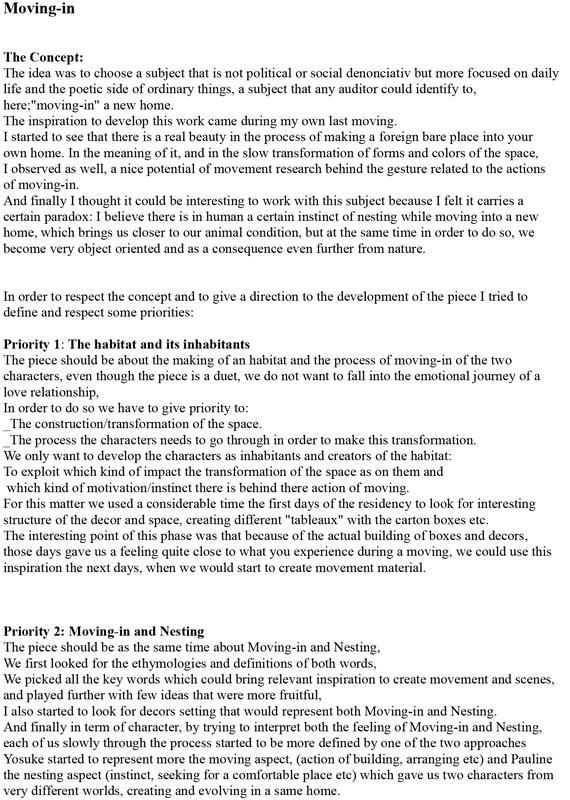 The second week was a period we used to research two statements: “The body which moves automatically” and “The body which moves without preparation”. We tried the idea of the suspended body and discovered what happened to the body directed by and free from gravity. I felt it is interesting to work with a body in gravity and without it. The dancers immediately wanted to work with the installation but I decided not to do so as I still couldn’t figure out the meaning of the installation and the space for my concept. We had some materials from the 2nd week which I wanted to develop further. During the third week I could finally manage to bring the installation and the dance material together. The installation fitted better to my concept and I felt I began to understand how to handle the body expressions. The dancers could finally work with the ropes. I had never worked with an installation from the beginning of a process. For the showing I selected the material which fit to the concept. Unfortunately, I couldn’t invest enough work into the quality of the material. However it was more important to me to show the direction of the interaction of body and space. 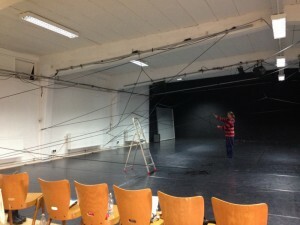 After the showing, we concentrated more on the work with the ropes. One of the dancers came from a circus background and therefor had a different approach to using her body than the other dancers. We tried to find possibilities of using the ropes in different ways. I still don’t know if I can reach the aim of our research. I have to continue to work on many points. But I think if I could realize the space and the body expression, I can say this residency time has been a progress. Thanks to the accommodation provided by the CC we could really focus on the work and also spend time together as a team which is important for the process as such. I am grateful for the opportunity that was given to me by the CC Heidelberg and am relieved to have clear results from the residency. It was a great beginning for the research and the sights of Heidelberg, the city where this residency is located was inspiring and fascinating to me. 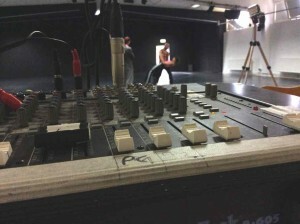 In der Residenz sind mit der Choreographin Minka-Marie Heiß fünf TänzerInnen und zeitweise drei studentische PraktikantInnen der Iwanson International School of Contemporary Dance, München, an der Minka-Marie Heiß Dozentin ist. In unserer zweiwöchigen Residenz am CC Heidelberg arbeiten wir an der Erweiterung eines bestehenden fünfzehn minütigen Stückes zum abendfüllenden Programm. Frei inspiriert nach dem Mythos von Sisyphos ist „… meaning, very wise“ eine Reise in die griechische Götterwelt, in der Tanz, Wort, Musik, Licht und Raum miteinander verschmolzen, die antike Sage nahtlos mit der Gegenwart verwebt. Absurde, bizarre, aber auch poetische Momente zwischen Tagtraum und Wirklichkeit schaffen neue Zugänge zum antiken Stoff; die Figur Sisyphos ist Symbol für ein Lebensgefühl und wirft uns zurück auf unseren vergänglichen Zustand in unserer Verwundbarkeit als Menschen. Sisyphos als unser aller Thema: „… meaning, very wise“ ist eine Erzählung vom Versuch, sich des Glücks zu bemächtigen. Alles beginnt mit dem ersten Atemzug des Lebens eines Mannes. Wie fühlt es sich an, wieder geboren zu werden? Sisyphos ist in Stücke zerbrochen. Durchzuckt von unermesslichem Schmerz windet er sich biegsam in der brodelnden Dunkelwelt – verloren, vergessen, sich wieder zusammenfügend. Wir sehen Bruchteile von Erinnerungen, Emotionen und Sehnsüchten. Sisyphos kämpft sich wie ein Schatten aus der Unterwelt empor. Erfüllt von Sehnsucht nach Freiheit und Leben, löst er sich aus dem Schattenreich der dunklen Kreaturen und Dämonen und benutzt diese sinnbildlich als Stufen zum Licht. Von dort oben richtet er sein Wort an die Menschheit und tanzt leichtfüßig mit dem Tod, den er wieder und wieder trickreich überlistet. Zuvor: Sisyphos herrschte in Korinth am blauen Mittelmeer und lebte eigentlich auf der Sonnenseite seiner Zeit. Dennoch kann man ihn nicht gerade als Liebling der Götter bezeichnen. Er provozierte gerade die Mächtigsten unter ihnen nach Herzenslust und beleidigte sie ohne jede Rücksicht. Bei allen ihren Intrigen und Affären mischte er kräftig mit, auch wenn es für ihn nachteilig war. Tief in seiner Seele nämlich suchte er die Bestätigung, dass er ihnen ebenbürtig war, und das hieß für ihn nicht zuletzt, dass auch er unsterblich war. Als er dann aber doch zu sterben drohte, griff er zu einer List. Er trug seiner Frau Merope auf, seinen Leichnam nicht gemäß Protokoll zu bestatten, sondern ihn einfach auf den Marktplatz zu werfen. Als diese das dann wunschgemäß und vermutlich gegen ihre Überzeugung ausführen ließ, gab er sich beleidigt. Er bat den Herrscher über die Unterwelt um sofortige Beurlaubung und begründete dies mit der Behauptung, er wolle seine Frau zur Rechenschaft ziehen. Schließlich stellt sich Sisyphos seiner Dauerstrafe, etwas zu vollbringen, das ihm kurz vorm Ziel je wieder zerstört wird und ihn so zum Neubeginn zwingt. Er rollt den Stein, wieder und wieder. Ein Bild aus Schweiß, Staub und Schmerzen. In unserer ersten Woche haben wir uns darauf konzentriert, auf Grundlage des bereits bestehenden Fünfzehnminüters die Figur Sisyphos in ihrer Vielschichtigkeit zu zeichnen. Sein widersprüchlicher Charakter ist von Würde und Stolz sowie von Machthunger gekennzeichnet. Aber auch Demut und konträr dazu Gewitztheit, Einfallsreichtum und Trick zählen zu seinen Eigenschaften. Sein Schicksal ist von Mühen und Kämpfen und vom Scheitern geprägt. Wir haben uns dazu entschieden, die Rolle des Sisyphos den Charakterzügen und den Entwicklungsstadien entsprechend unter den Tänzern aufzuteilen. So können wir die Zwiespältigkeit der Hauptfigur wesensnah wiedergeben und den inneren Konflikt der multiplen Persönlichkeit veranschaulichen. Der zweite wesentliche Aspekt unserer Arbeit in der ersten Woche war die Beziehung zwischen Sisyphos und seiner Frau Merope; sie ist geprägt von Zärtlichkeit, Zuneigung und Opferbereitschaft, aber auch von Machtbesessenheit, Vertrauensbruch und Instrument-alisierung. Auch diese Beziehung wird in ihrer Entwicklung durch verschiedene Paarungen der Tänzer und Tänzerinnen szenisch verkörpert. Am CC Heidelberg können wir konzentriert und entspannt arbeiten und bedanken uns für die Residenz und insbesondere bei Bernhard Fauser und Emma Wolf für die Unterstützung. Wir arbeiten hier für zehn Tage in Heidelberg an der Produktion “Carnival of the body”. Für das Stück ist es die siebte bis achte Probenwoche (von zehn insgesamt), d.h. es ist schon viel da an Szenenstruktur und damit spielen wir im Moment herum. Es ist für uns die Phase um die finale Struktur des Stücks zu finden, die Musik (komponiert von Simon Bauer) voranzubringen und soweit wie möglich schon an Details zu feilen. 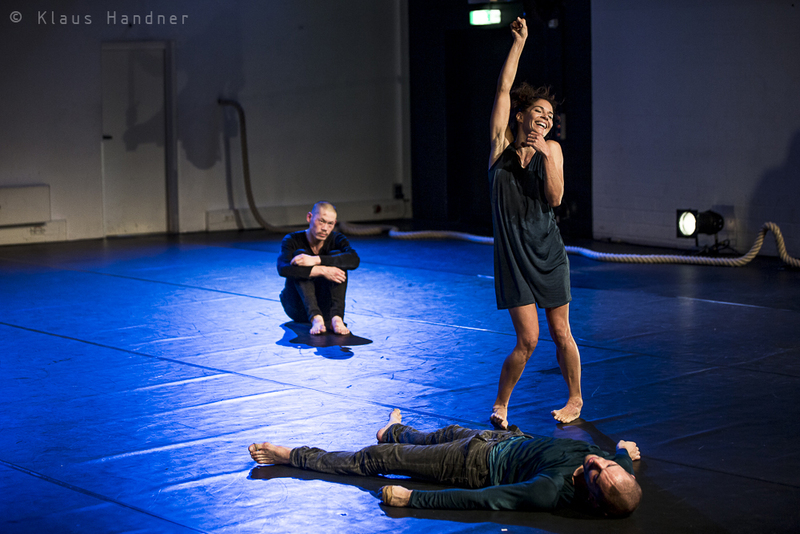 Mit einer Previewversion von zwanzig Minuten sind wir im November bereits im Rahmen von zwei TanzFestivals auf die Bühne gegangen. Das war für uns spannend um uns selbst zu überprüfen und die Reaktionen des Publikums in die weitere Kreation mit ein beziehen zu können. Fallen, Anspringen, das geräuschvolle Aufeinanderprallen zweier Körper – Im Taumel aus Rastlosigkeit, Gewalt und Behutsamkeit stehen sich zwei Männer gegenüber. Ihr gemeinsames Ringen gegen die Schwerkraft führt sie langsam in den brüchigen Zwischenraum von Achtsamkeit und Verletzungsgefahr. Im Rhythmus ihrer Bewegungen entsteht ein inniger Kampf gegen die äußere Wahrnehmung ihrer selbst. „Carnival of the body“ ist eine Fahrt unter die Oberfläche des Spektakulären, ein Blick in eine entfremdete Intimität der Körper. Und auf genau diese entfremdete Intimität der Körper scheint das Stück im Moment gegen Ende hinaus zu laufen. Dazu ein paar Fotos in welche Richtung wir uns das dann vorstellen. Die zweite Woche verlief ganz gut für uns. Wir haben das Stück von der Struktur her fertig. Auch die Musik ist komponiert. Das Showing am Freitag war für uns wichtig um die Reaktionen unseres dortigen Publikums kennnenzu lernen. Jetzt stehen die Entscheidungen an, wie viel oder wie wenig Licht wir einsetzen. Teilweise haben wir Szenen schon mit (sehr viel) Licht gearbeitet und im Rahmen der Previews gezeigt. Jetzt überlegen wir wie viel inszeniertes Licht wir für dieses Stück wirklich brauchen. Anfang Januar sind wir in der fabrik Potsdam für 5 Tage technische Lichtprobe und fürs choreographische Putzen der Szenen. Wir sind selbst gespannt was durchs Licht noch mit dem Stück passiert. Im Ersten Halbjahr 2015 werden wir nach Heidelberg mit unserer BW-Premiere in die Hebel-Halle kommen. Besten Dank hier ans Choreographische Centrum für diese schöne Probenzeit in Heidelberg. Kurze Einführung: wir – post theater – kreieren eine Performance über das Trampolin-Springen. Dieses Jahr wäre George Nissen, der Erfinder des modernen Trampolins / des Trampolin-Namens 100 Jahre alt geworden. 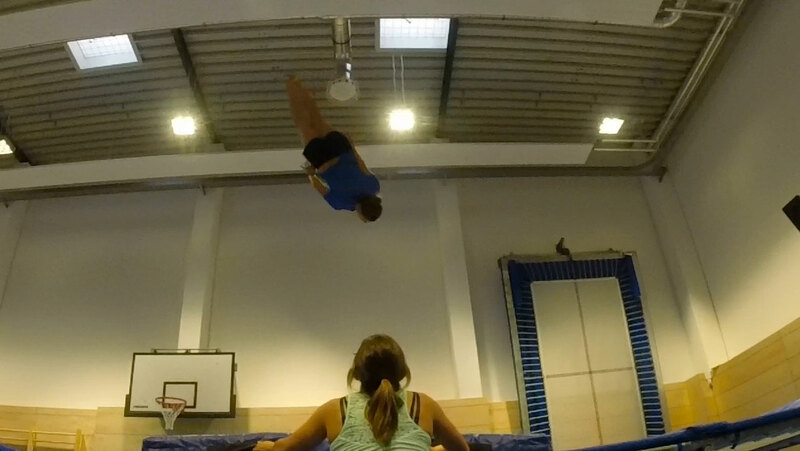 Trampolin Springen hat seine Wurzeln in der Akrobatik und im Turnsport. Die Überlagerungen von Turnen als Sport und Akrobatik als Unterhaltungs-Performance sind interessant. Diese Art des Sportes unterliegt ästhetischen Prinzipien – wie alle Variationen des Turnens, Show-Tanz und Eiskunstlauf etc. Die “objektive” Bewertbarkeit von Bewegung ist ein Paradigma das dem Tanz als Kunstform entgegengesetzt ist. 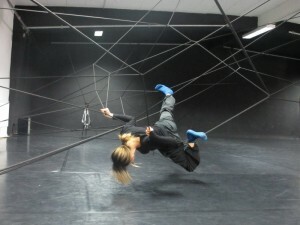 Ziel der Residency ist es, mit Trampolin TrainerInnen und TurnerInnen in Heidelberg und Mannheim über ihre Bewegungspraxis zu sprechen und mehr darüber zu lernen, dann Videoaufnahmen zu machen, die später in der Performance zu sehen sein werden. Parallel recherchieren wir Texte über das Trampolin-Springen und arbeiten am Script für den Performance-Text. 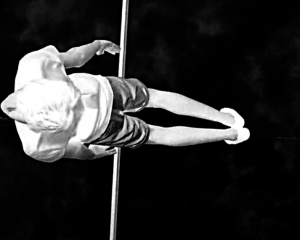 Die Texte sind biographisches Material über George Nissen, die medizinische Wirkung des Trampolinspringen, Regelwerke zum Verhalten am Sportgerät. Haben gestern den TSV Mannheim besucht, der regionale Hotspot für den Trampolin-Sport in der Region. Interessant: der Begriff der “Choreo” wurde für ein Krafttraining mit Musik gebraucht. Überhaupt müssen die TurnerInnen in einer Altersspanne von 6 – 16 Jahren (sehr gemischt!!!) viel mehr Turnübungen am Boden machen, als dass sie wirklich Springen. Auch können immer nur zwei Personen auf den beiden Trampolinen springen – die anderen gucken zu und warten. Die Breite an Fähigkeiten variiert enorm. Unser Augenmerk lag auf den verschiedenen Schwierigkeiten, die SpringerInnen von oben, von unten und von der Seite optimal zu filmen. Wir haben Testaufnahmen wg. Der Helligkeit im Raum gemacht. Es muss geklärt werden, ob die Eltern der minderjährigen SpringerInnen mit den Aufnhamen einverstanden sind. Wir planen die Filmshoots für die folgende Wochen. Von wo kann mit welcher Kamera wie gefilmt werden. Wie sind die Lichtverhältnisse zu welcher Uhrzeit? Wie fühlt sich das mit dem Trampolinspringen an? Wer springt in einer öffentlichen Trampolinanlage, und wie? Die digitale Bildbearbeitung schafft einen klaren Blick auf die Bewegung – Abstraktion fokussiert. Die Körper der Trampolin-SportlerInnen sind NICHT schwerelos, aber simulieren Momente der Losgelöstheit von Schwerelosigkeit. Sie tanzen ohne das Paradigma des Tanzes. Sie folgen ästhetischen Normen, die aber sport-technisch begründet werden. Das Videomaterial wird in der Postproduktion bearbeitet. Dabei gibt es zwei Verfahren: bei einem wird der Hintergrund herausgerechnet. Das Bild einer festen Kamera, bevor ein Trampolin-Springer das Bild betritt, wird abgezogen von den Bildern des springenden Menschen im selben Ausschnitt. Die andere Methode ist das Blue Screen verfahren – das aber hat nicht wirklich gefruchtet, da die Trampolin-TurnerInnen in der Regel eine viel Größere Strecke gesprungen sind, als unsere Green Screens abdecken konnten. Bei der ersten Methode gibt es den Nachteil, dass andere Springer in den Bild ausschnitt gelaufen sind. Auch ist das Trampolinnetz im Bild, wenn es gebäugt ist. Wenn es plan ist, wird es herausgerechnet. Yoann Trellu arbeitet teilweise Frame für Frame mit Photoshop die “Fehler” heraus. Bei 25 Frames pro Sekunde ist das ein sehr langwieriges Verfahren. 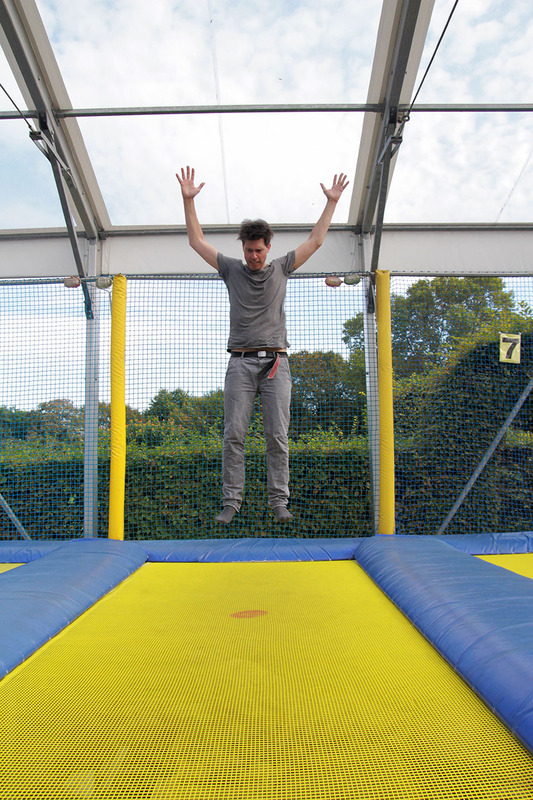 Die einzigen Bilder, die uneingeschränkt funktionieren, sind die, die von unterhalb des Trampolins aufgenommen wurden. 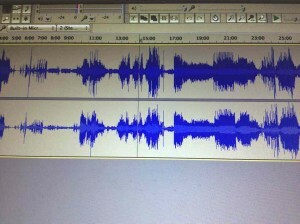 Parallel arbeiten wir am Skript, das auf der Audioschiene der Performance zu höhren sein wird. Dabei spricht da Trampolin selber – und kommentiert die Universums-Theorie vom Big Bounce – in Abgrenzung zum Urknall (Big Bang). Das Phänomen PAARE IM TANZ: gibt es einen qualitativen Unterschied gibt, wenn ein Liebespaar miteinander den Bühnenraum erobert. Existiert ein Bewegungscode zwischen TänzerInnen, die sich auch den gemeinsamen Lebensraum teilen? Können wir ein spezifisches Bewegungsmaterial aufgrund der Innigkeit der Liebenden entwickeln? Verändern sich die gegenseitigen Empfindungen im Laufe eines Liebeslebens und in den unterschiedlichen Altersabschnitten? 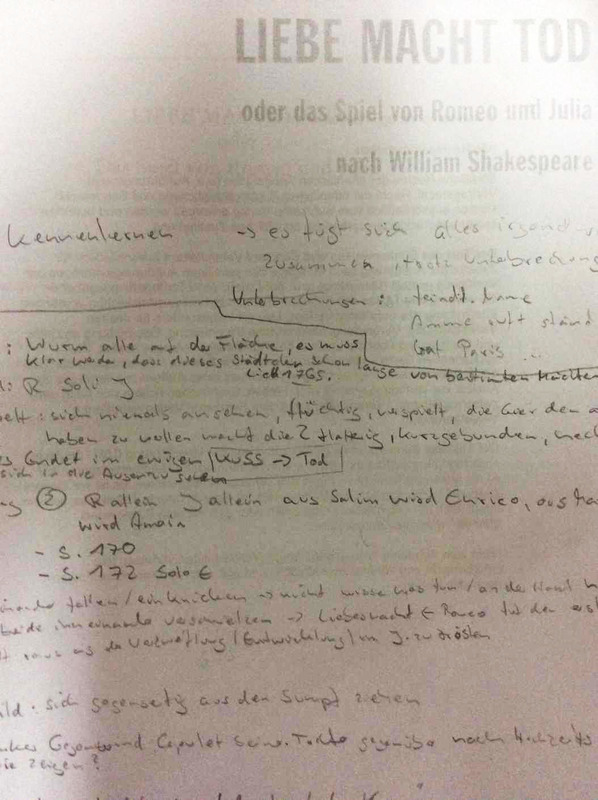 ROMEO und JULIA: Die Handlung wird sich an der Abfolge des Shakespeare – Stoffes entlang bewegen. Ziel ist es, die Szenenabfolge neu zu untersuchen und in der tänzerischen Interpretation zeitgemäße Wege, eine neuartige Umsetzung des Originals zu finden. Die TänzerInnen schlüpfen nicht in unterschiedliche Rollen, sondern erarbeiten gemeinsam mit der Choreographin eine eigene Fassung zu diesem Stück. Wake up,drink coffe, breakfast, warm up, ballet, Tai Chi, impro. Rehearse, pass the piece, remember yesterdays material, create some more. Break, eat lunch, think for later, short communication with the world. Rehearse, try new scenes, feel that you dont have time, work more. you have one more day tomorrow. Tomorrow, start all over again. What do you carry in your luggage? What do people choose to pack at the moment they leave? Can only 1 luggage carry all your life or all yourself? Luggage is heavy with memories. Luggage is heavy with hope. 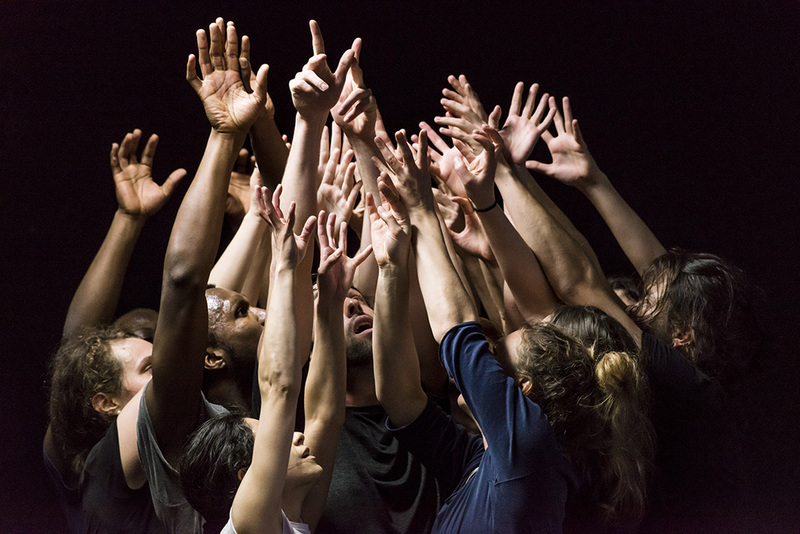 CV is a dance piece about truth and reality. Fluid Landscapes is a timeless hypnotic room, where two bodies, as temporary beings, are in constant transformation. It is a moment of sensitivity and awareness of the vibrating energies that leads to interaction. Fluid Landscapes invites to a journey of fluid identities; an encounter in a private and intimate yet open and exposed space, where flesh, air and matter breathe and pulse as part of the same infinite organism. The theme for this research is power and control. We are specifically inspired by psychopathy and the incredible psychopathic traits that are beneficial in our society. We have been brainstorming and exploring this subject from several angles. We started with an exploration of repetitive movement where through almost fanatic precision the body can take us on a journey, where we end up in physical situations that we might not have come up with ourselves otherwise. 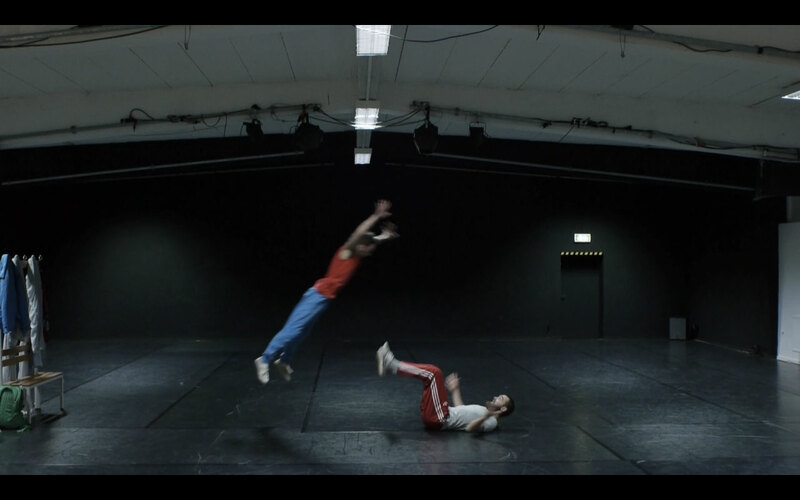 This resulted in a physical language that seems controlled, composed and choreographed, but is actually being discovered and experienced as a form of surprise both for the dancers and for the viewer. We spoke a lot about illusion and how we can gain power or control through deceiving the eyes of the viewer, suggesting that what you see is not necessarily what is happening – kind of like magic. 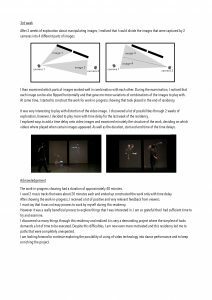 We worked on creating visual illusions with the body and transformations of suggestive ideas or scenarios, using movement to seem like we are trying to say something specific but eventually reveal another truth. We also worked on more theatrical tasks about hiding the truth from the viewer but trying to describe it in other ways then revealing it. We have been playing a lot of games and studying the experiences, feelings and situations we go through when playing. We have been exploring how to bluff and lie and convince others that we are innocent and working on getting others to trust us in order to win. 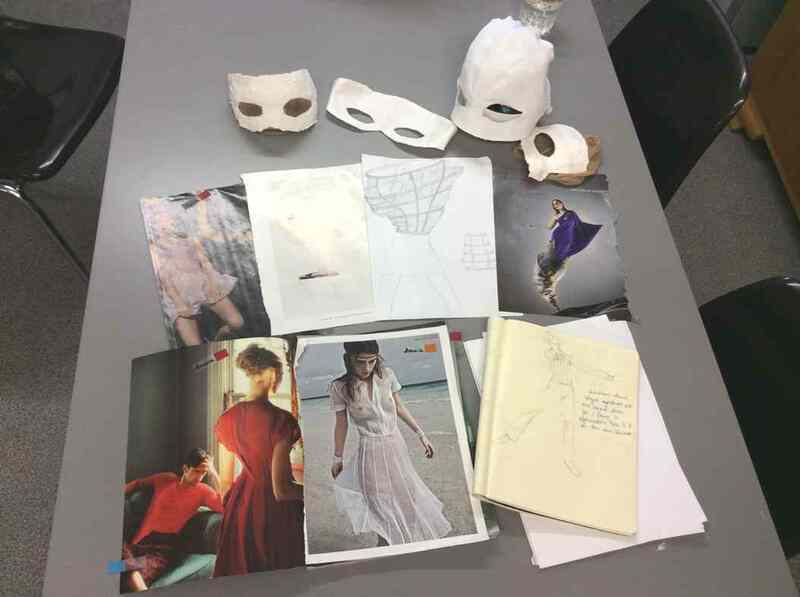 In general, we have been mainly collecting materials and ideas to explore and work with. We have been trying to put as many interesting things into the studio, seeing where it takes us and how it communicates. Our goal for the coming 10 days is to see how we can use these tools, layer them and construct a suggestive experience for the audience, where they can be part of the game as well. About one week ago we had the public presentation of The Players at the Choreographisches Centrum where we presented a collection of concepts and ideas that we had been experimenting with the last 4 weeks. Preparing for this presentation was interesting in itself. 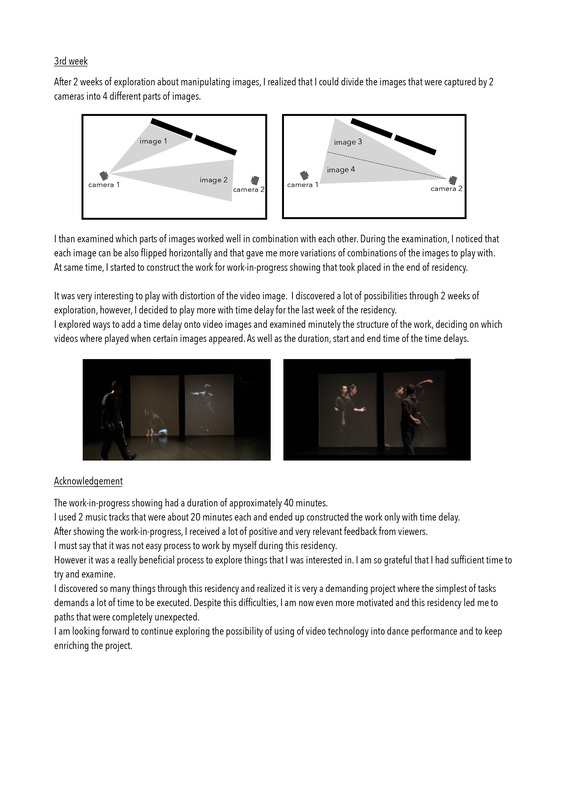 We realized that it was most important and valuable for us to test some of our audience interaction related ideas, more then just presenting structured choreographic scenes. We had a luxury situation where we were able to try out things that we were NOT sure will work. So we designed a structure of a game in three rounds where the performers and the audience were all players. The only thing was that the audience was not entirely aware that they were playing as well. This was only revealed later on in the presentation.We wanted to explore the difference between what happens when the audience is aware of their participatory role and what happens when not. This turned out to be very interesting. In general the audience was quite willing to participate but during the talk after it was interesting to discover that many of them felt uncomfortable in that role. Not unwilling but a bit nervous or doubtful. Most people want to be just observers, however, they very much enjoyed all of the tasks they were asked to fulfil. So the real question is now how to design an environment that is inviting enough for the audience to not be stressed but still willing to participate. In general, the theme of power and control comes out strongly during this type of live game performance. You start to wonder who is actually in charge: The choreographer who directed and thought it all out? The performers who could actually do whatever they wanted live on stage anyway? Or is it the audience, their opinions, or their level of involvement that really hold the power over this whole performance? We will definitely find out when we come back to the creation process and transform this research into a final product. We hope we will get to share it with the public in Heidelberg one day. We want to thank everybody in the audience who came to the presentation, Emma Wolf for being so helpful and accommodating, Bernhard and Jai for the hospitality and for building up this incredible place including Rosemary and Nanine for bringing us over here and giving us this wonderful opportunity and Mandy’s Diner for the many breakfasts, lunch’s and dinners. We hope to be back soon! Love – Edan Gorlicki and dancers: Jasmine Ellis, Helena Volkov, Evandro Pedroni, Pasquale Lombardi & Moreno Perna.